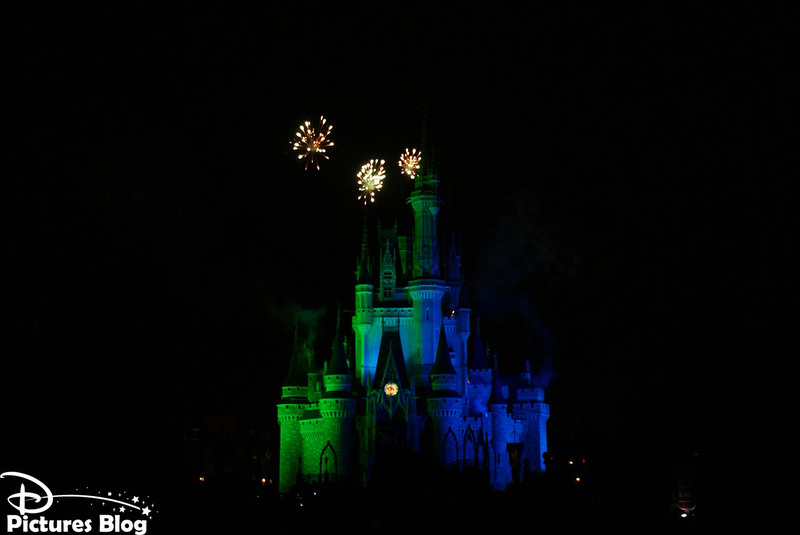 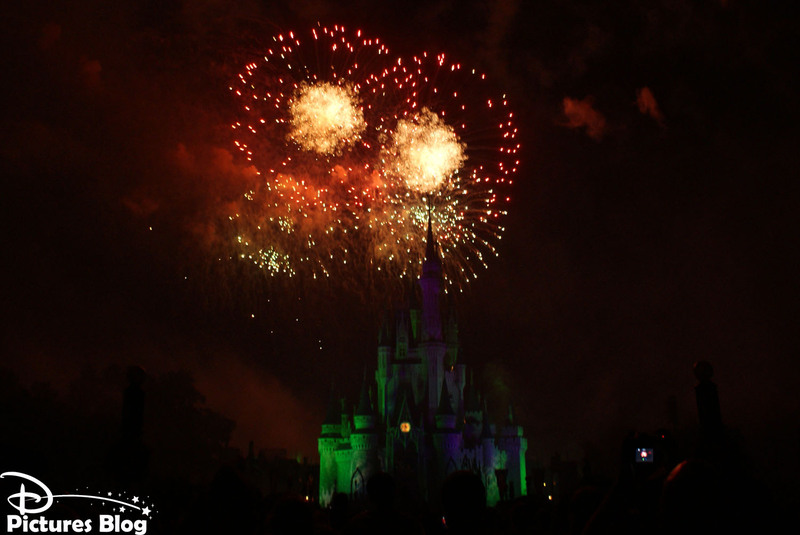 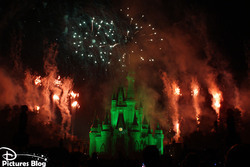 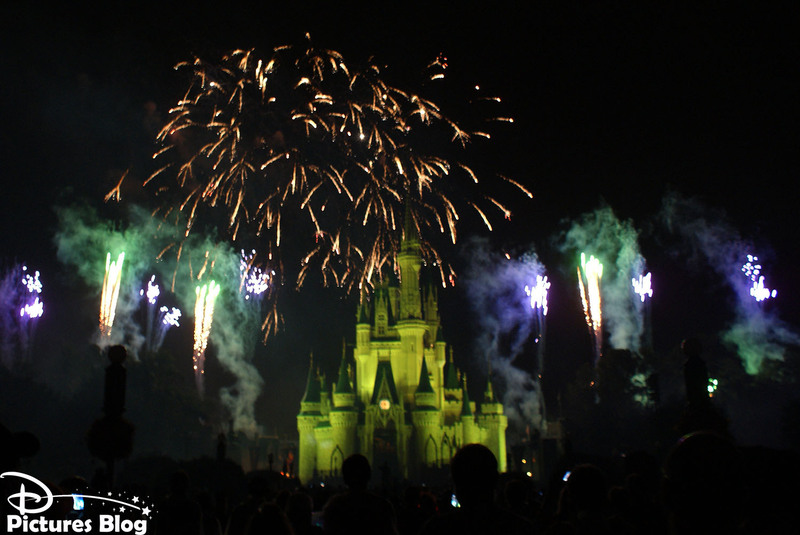 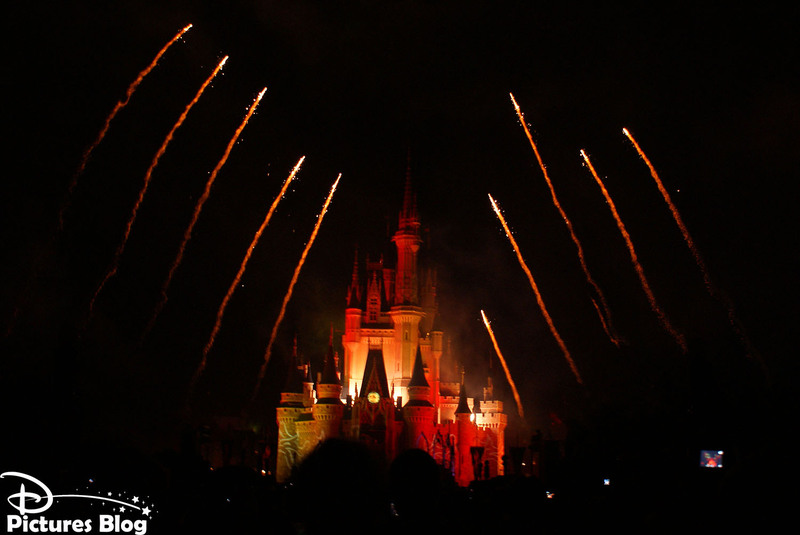 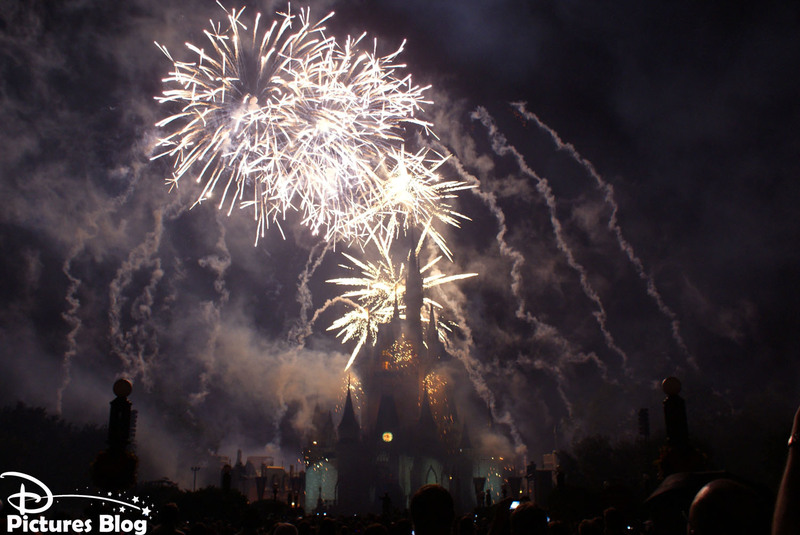 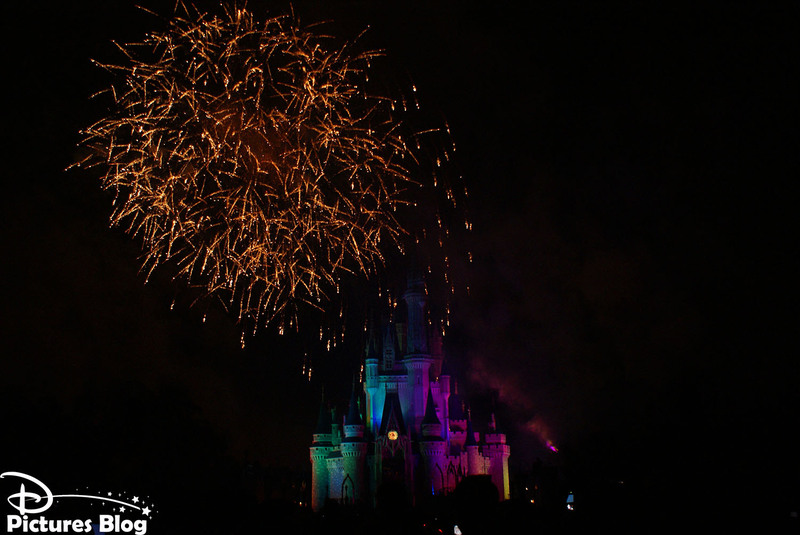 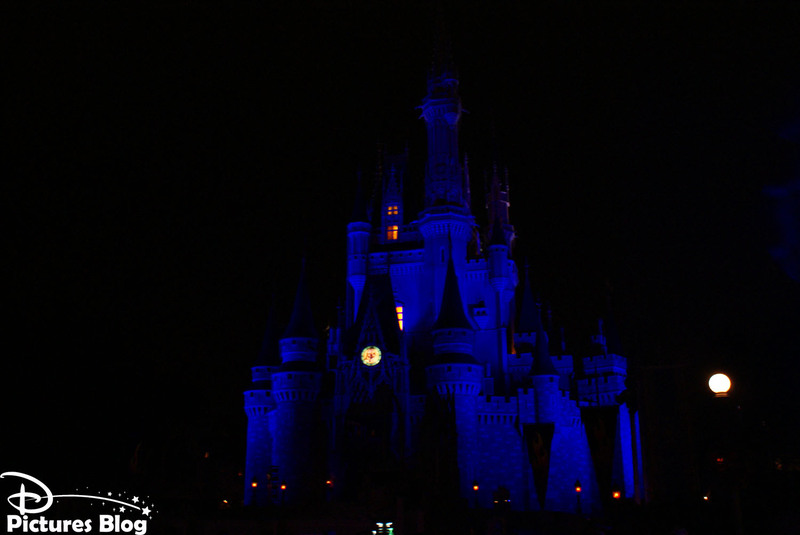 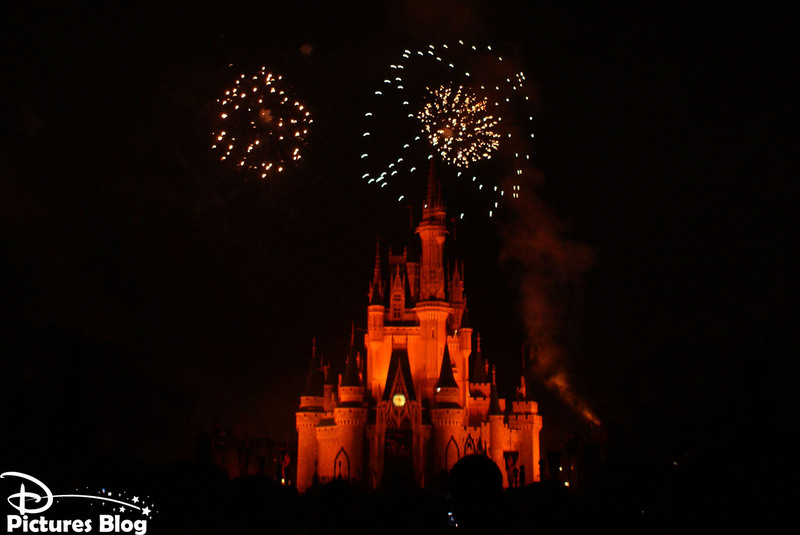 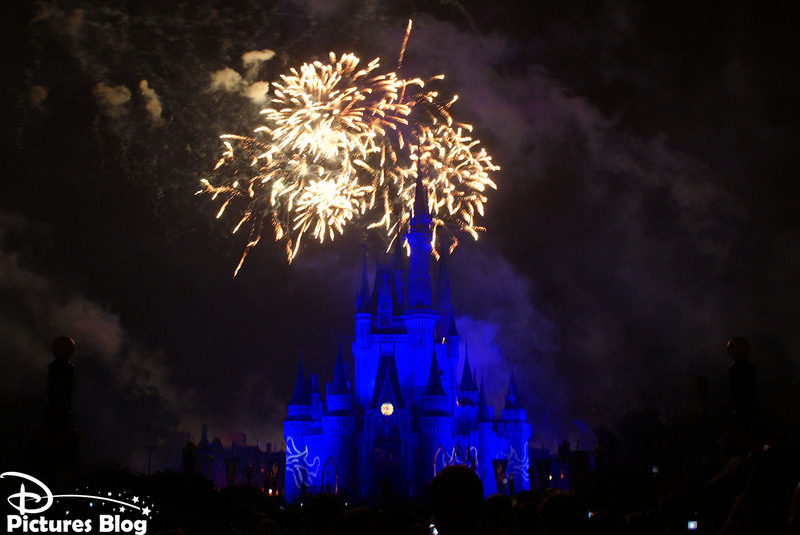 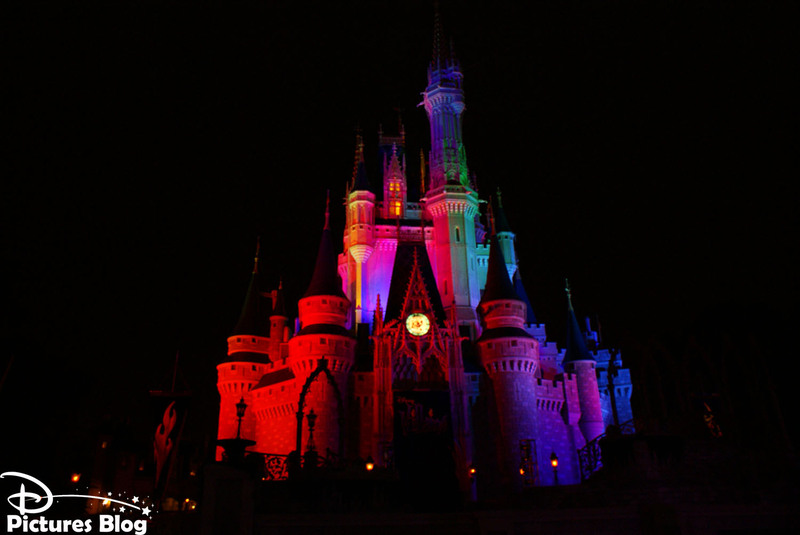 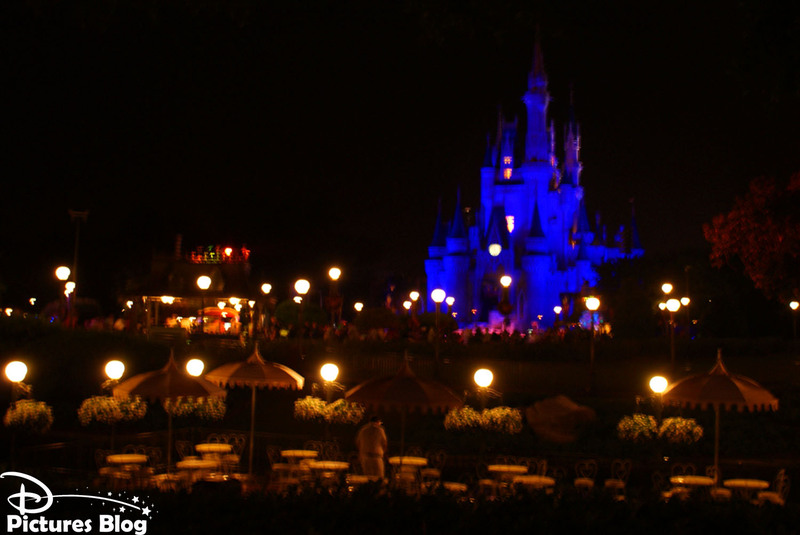 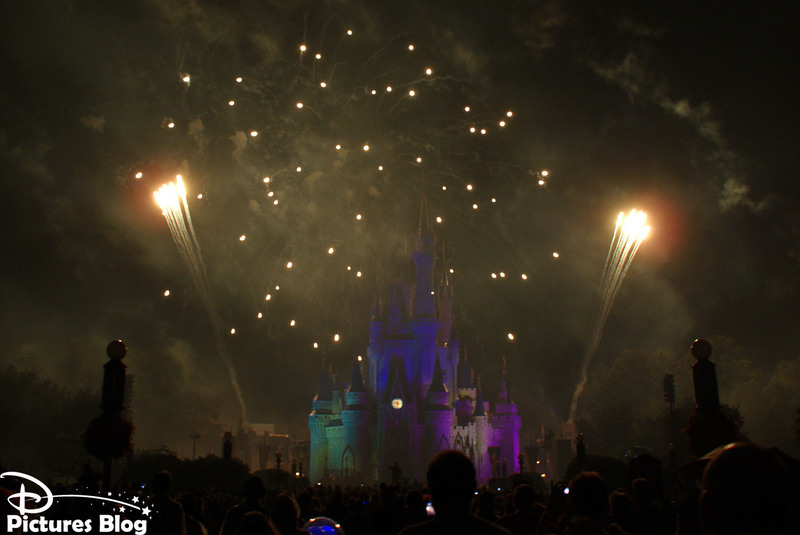 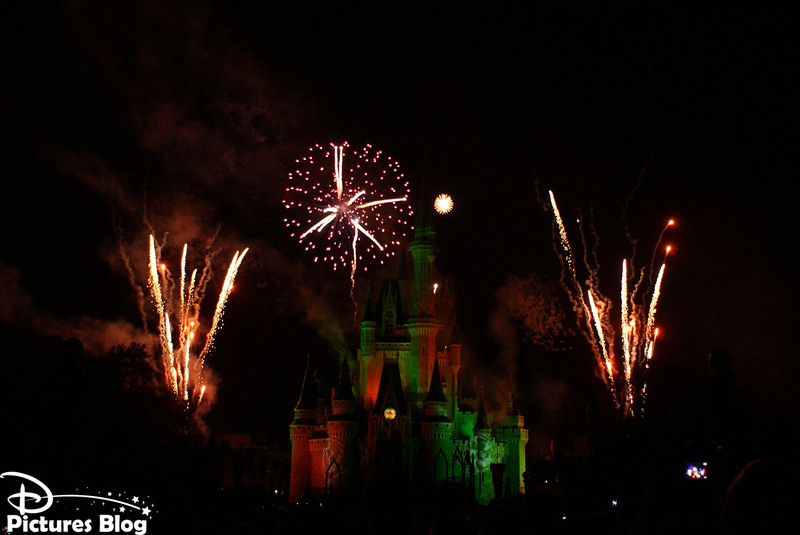 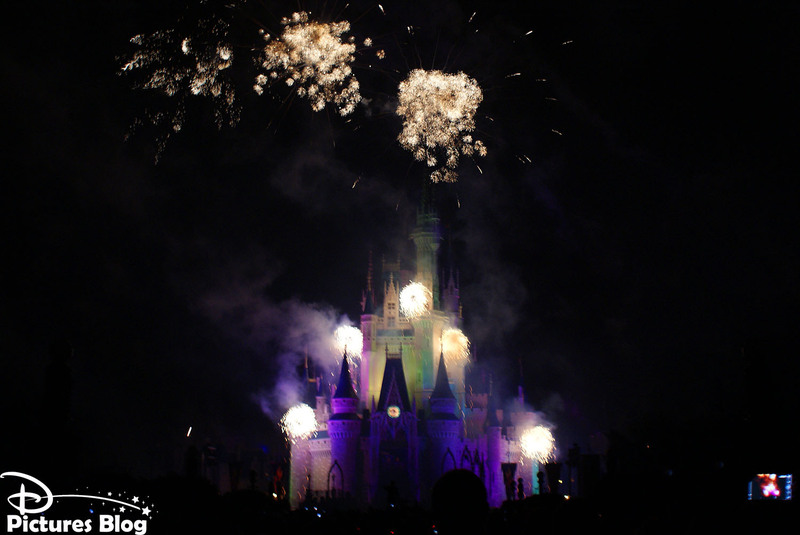 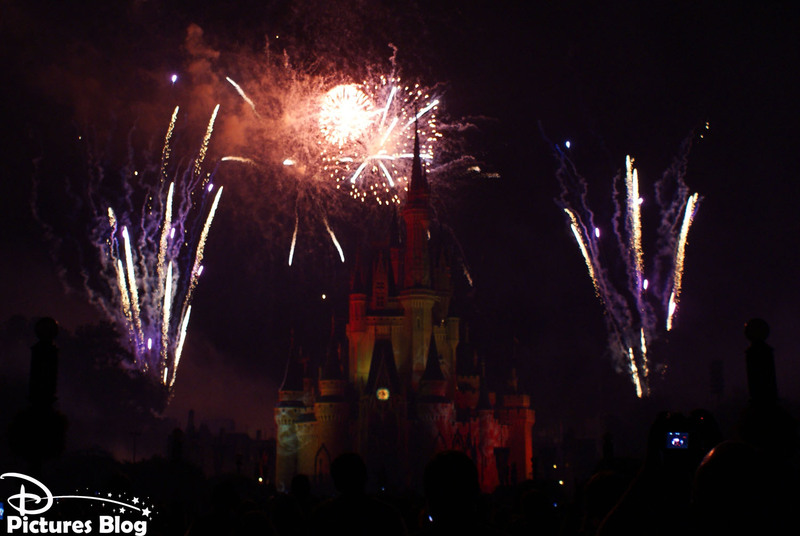 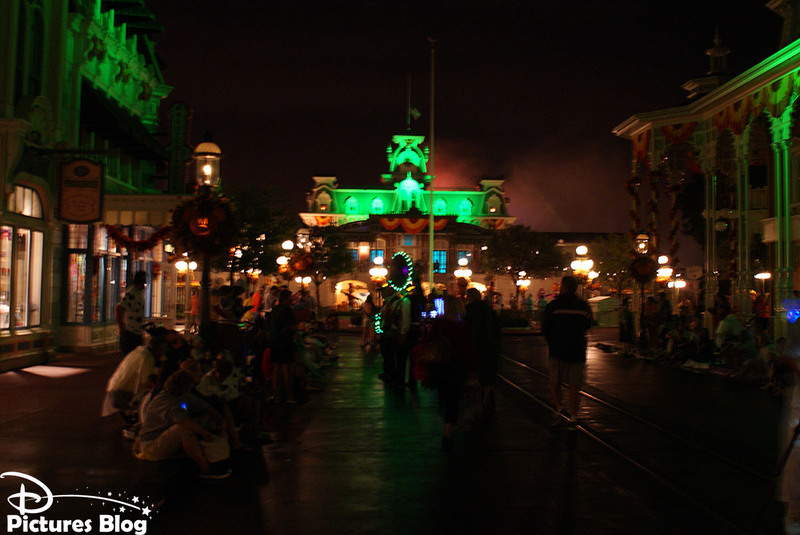 Magic Kingdom (Florida) - Happy HalloWishes ! 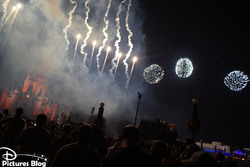 Happy HalloWishes est une variante saisonnière de Wishes, le célèbre feu d'artifice du Magic Kingdom. 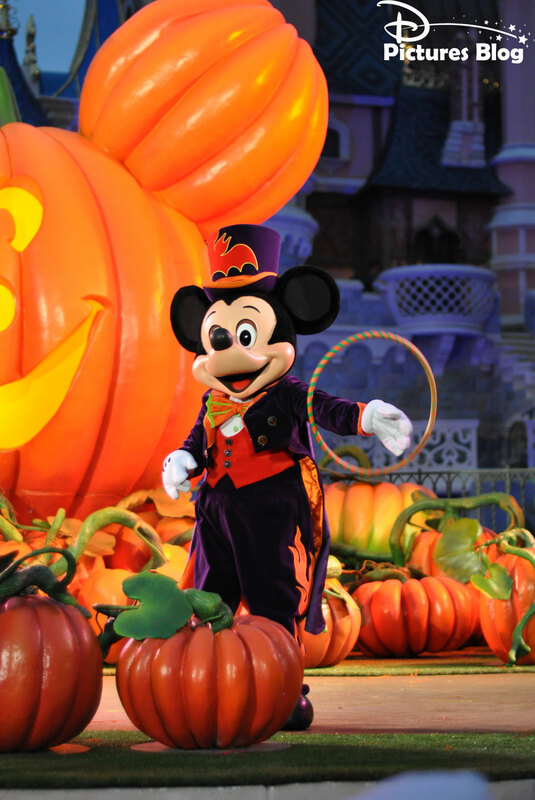 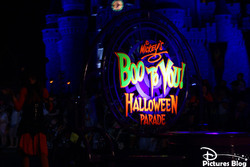 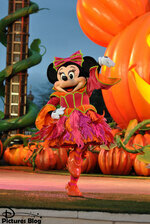 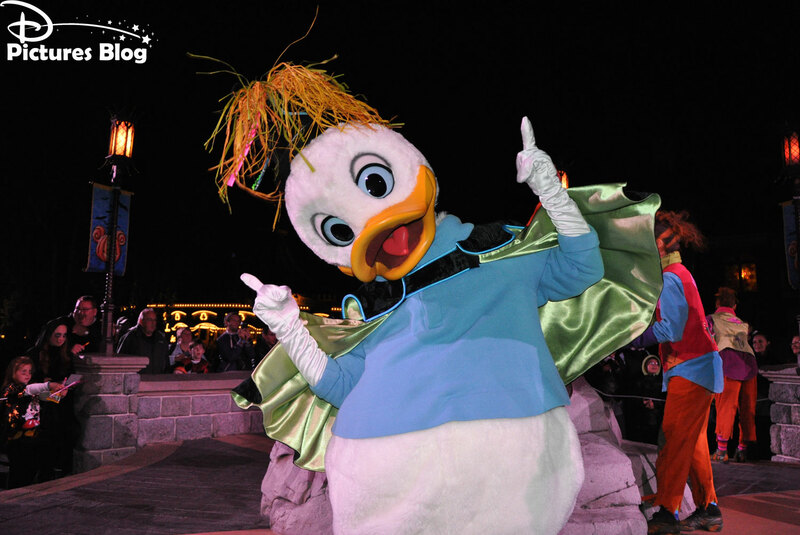 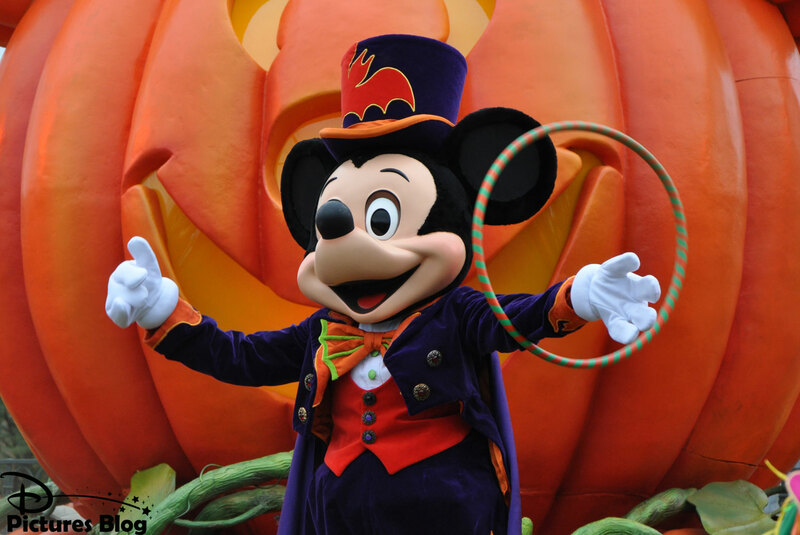 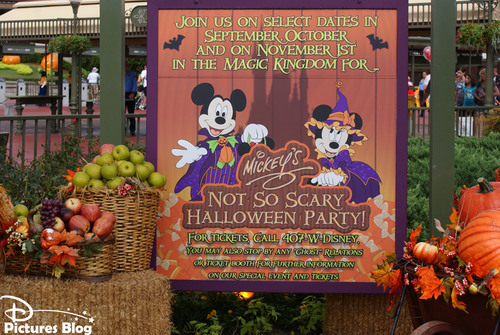 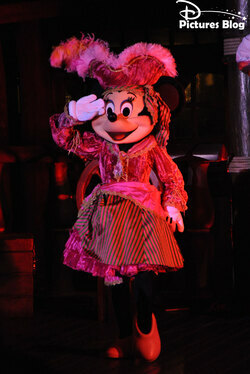 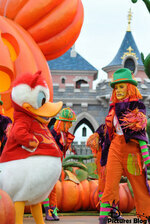 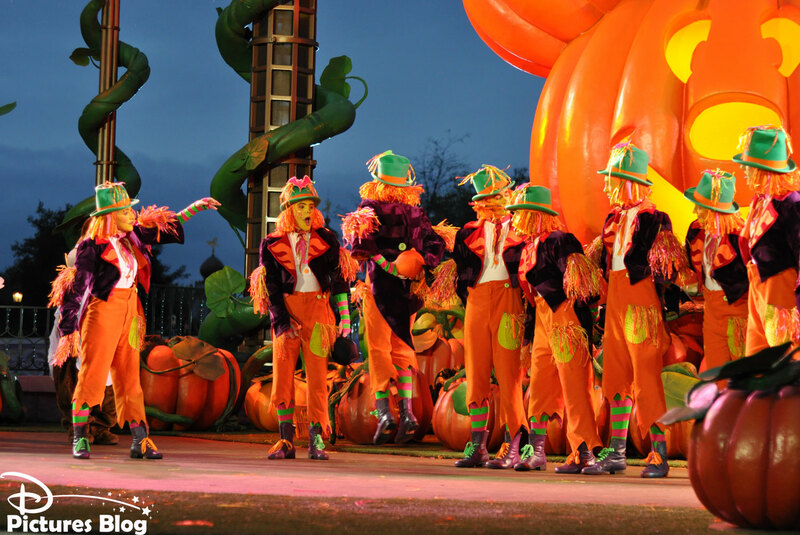 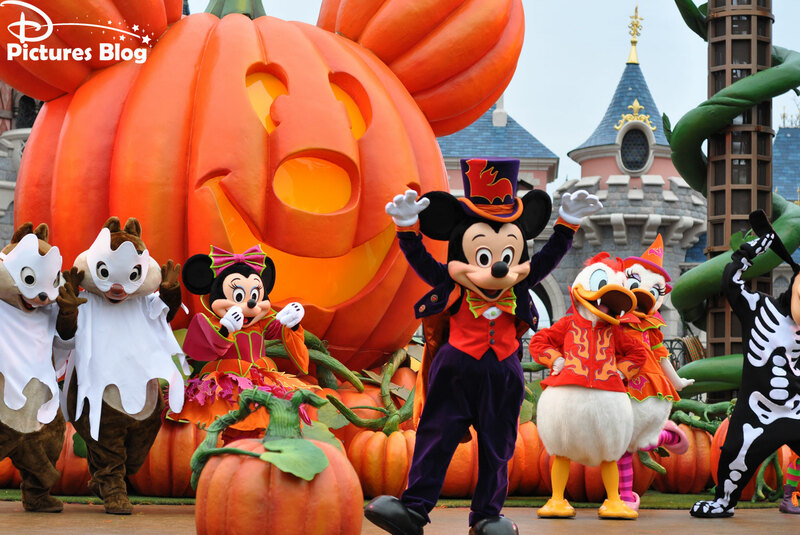 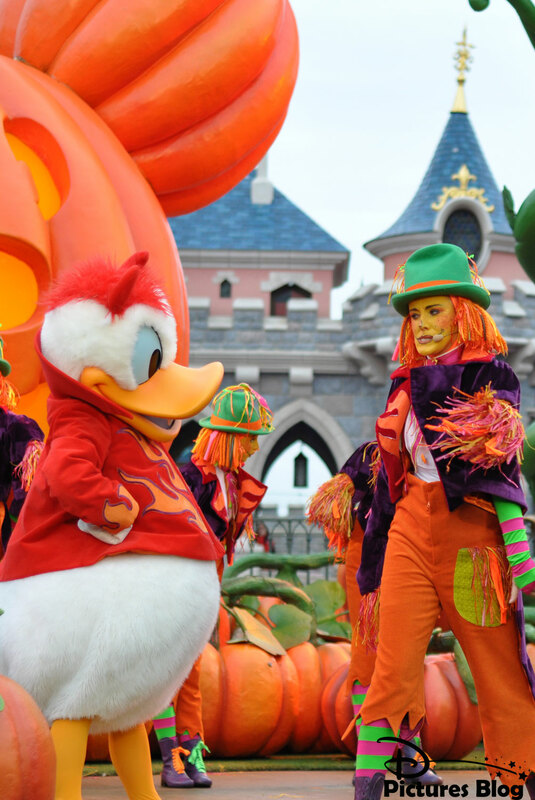 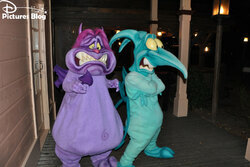 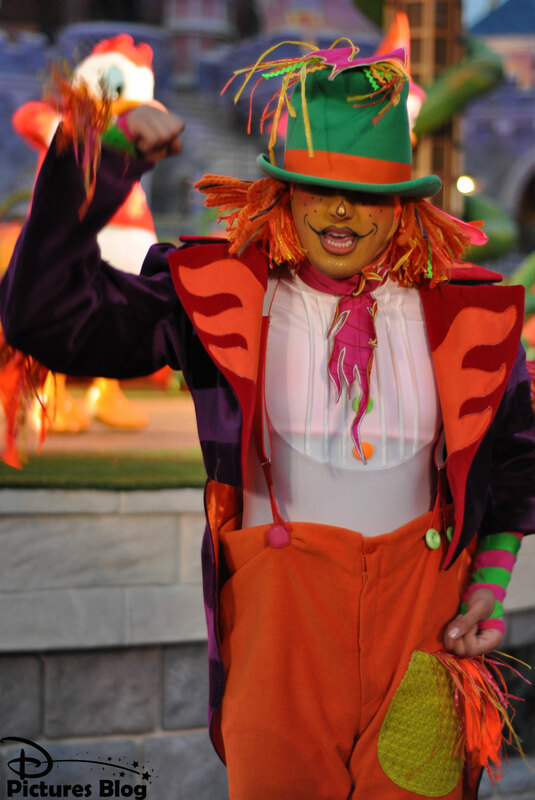 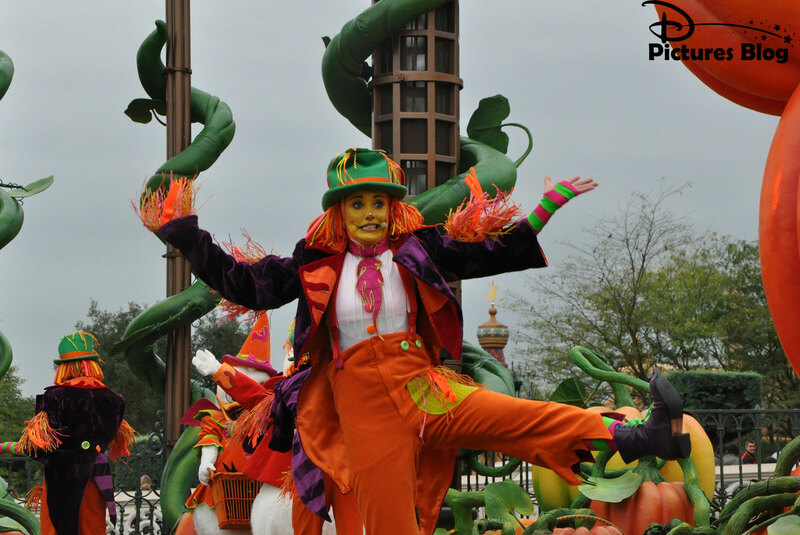 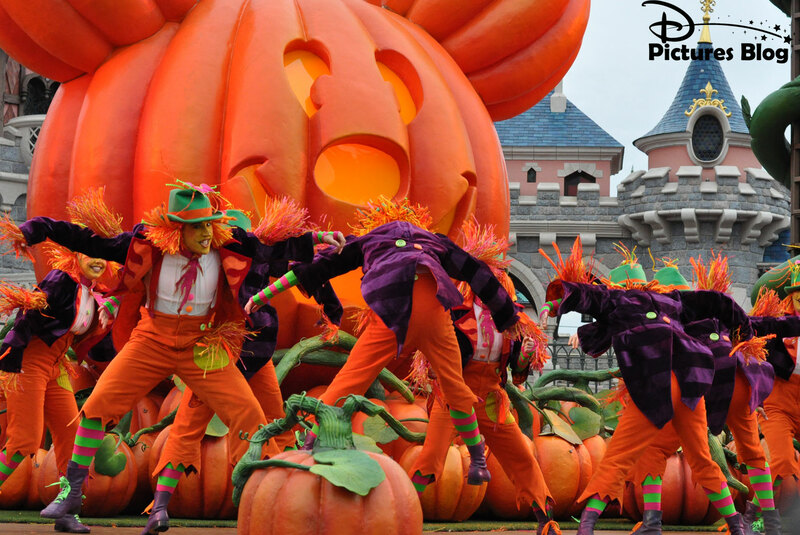 Il n'est tiré que lors des Mickey's Not So Scary Halloween Parties en septembre et octobre. 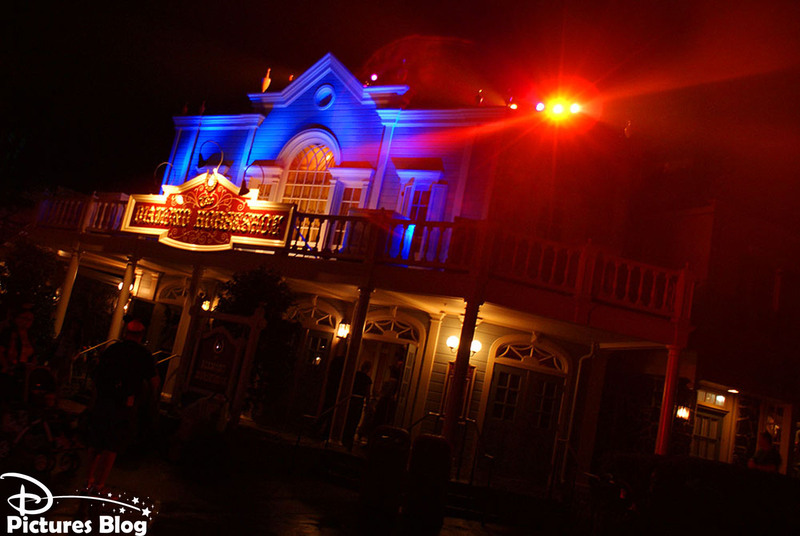 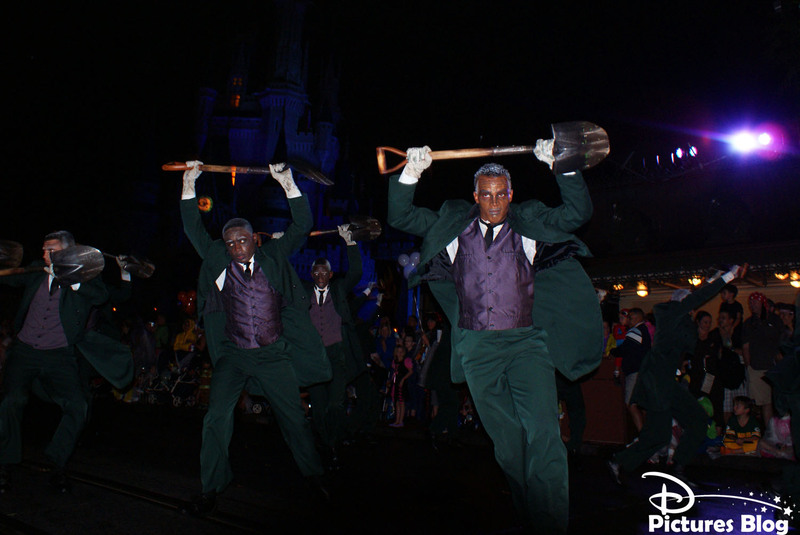 Le feu, plus ambitieux que l'original, a lieu à 21H30, entre les deux passages de la Mickey's Boo To You Halloween Parade. 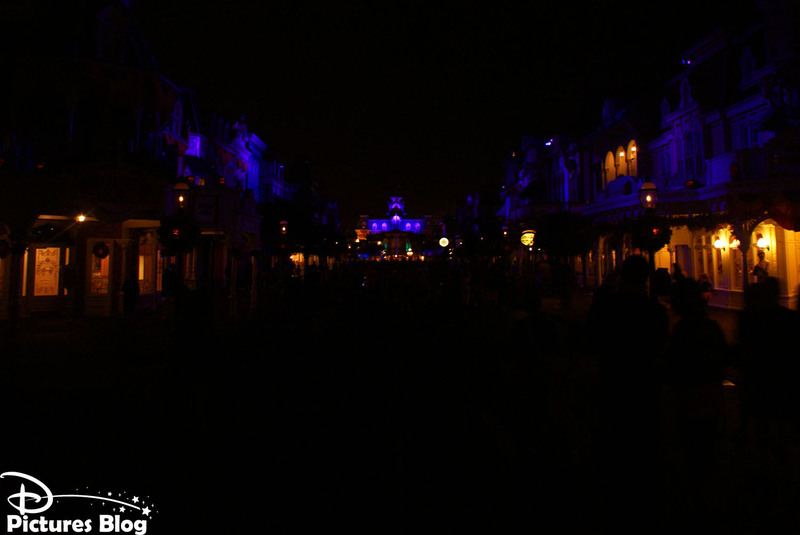 Pendant environ 12 minutes il reprend dans un rythme endiablé les chansons des méchants Disney, le thème de Haunted Mansion : Grim Grinning Ghosts et de Nightmare Before Christmas : This Is Halloween. 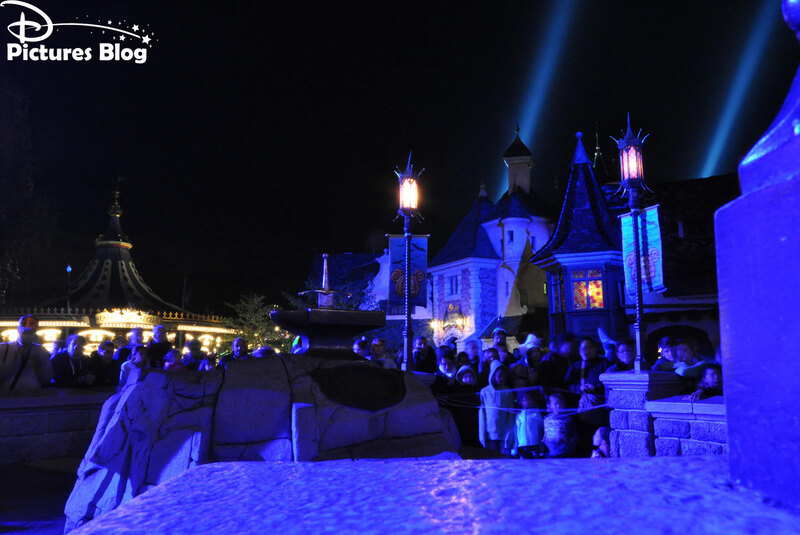 Le tout se termine sur un final à couper le souffle où l'ensemble du parc s'embrase à 360 degrés ! 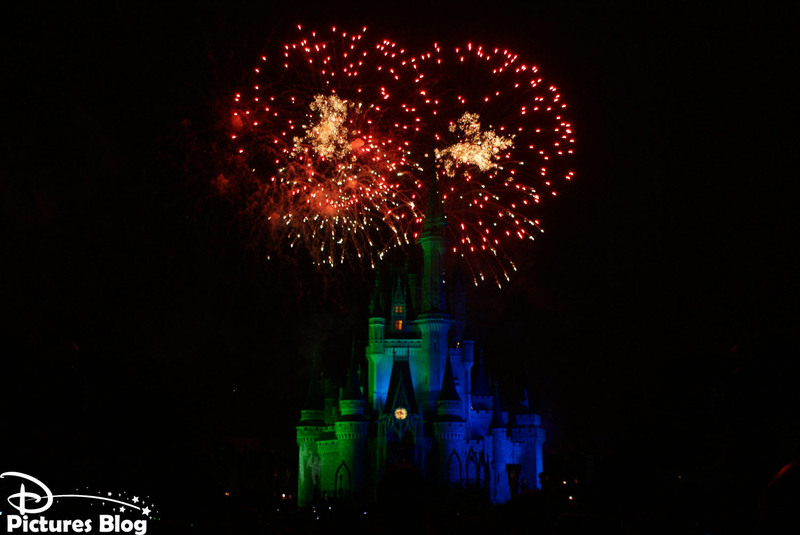 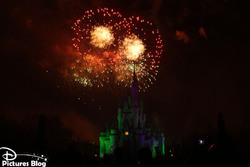 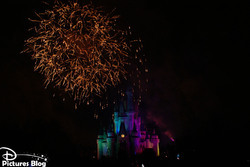 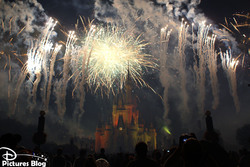 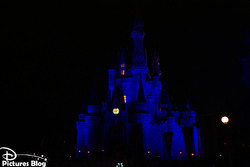 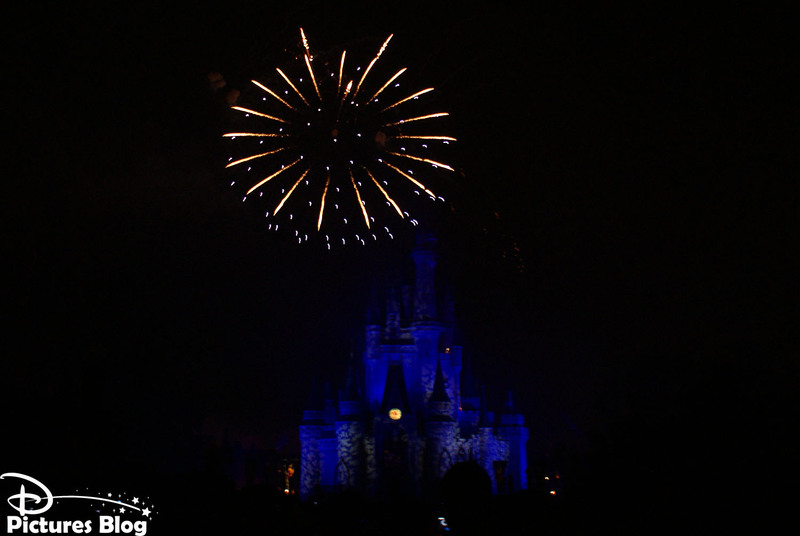 Happy HalloWishes is a special seasonal version of the famous Wishes fireworks spectacular at Magic Kingdom. 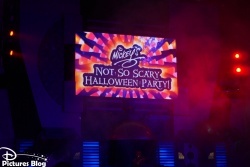 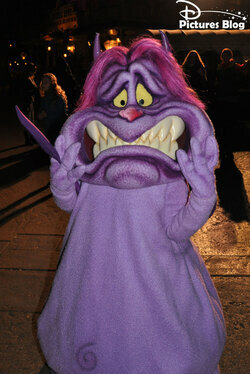 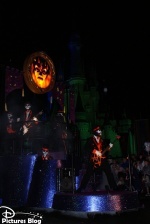 The show is only being performed during Mickey's Not So Scary Halloween Parties in september and october. 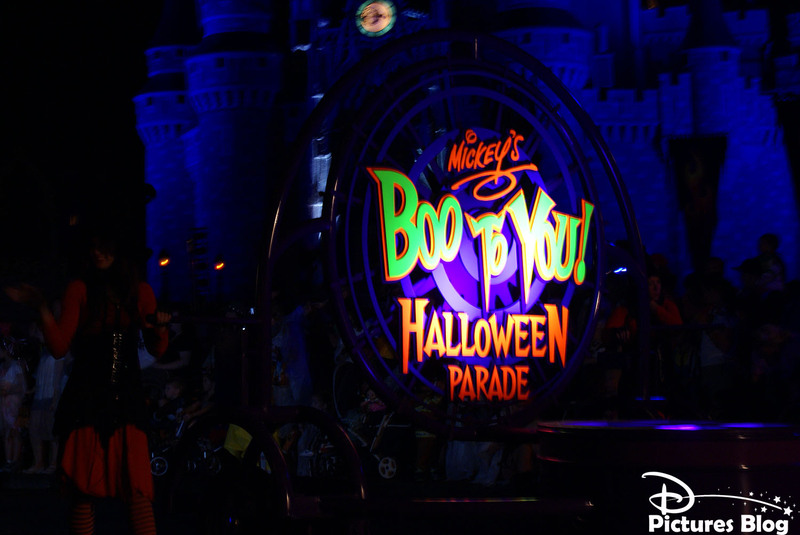 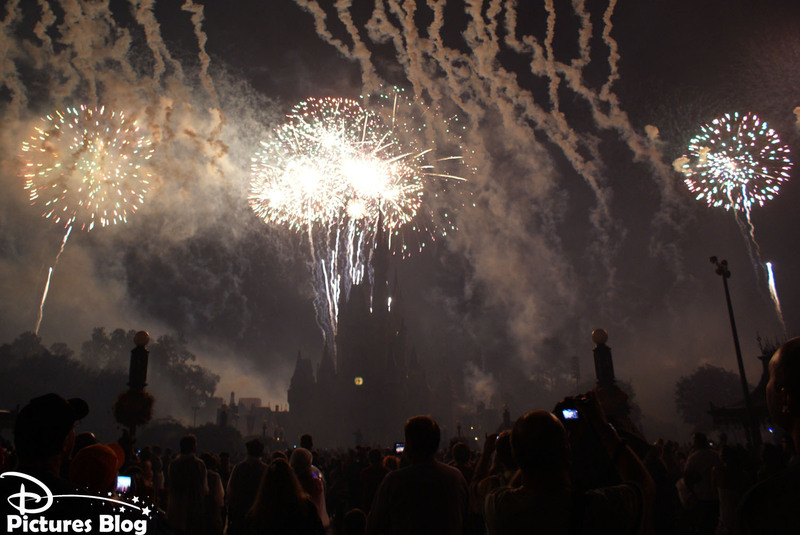 This fireworks spectacular, even more ambitious than the original Wishes, happens between both performances of Mickey's Boo To You Halloween Parade, at 9:30pm. 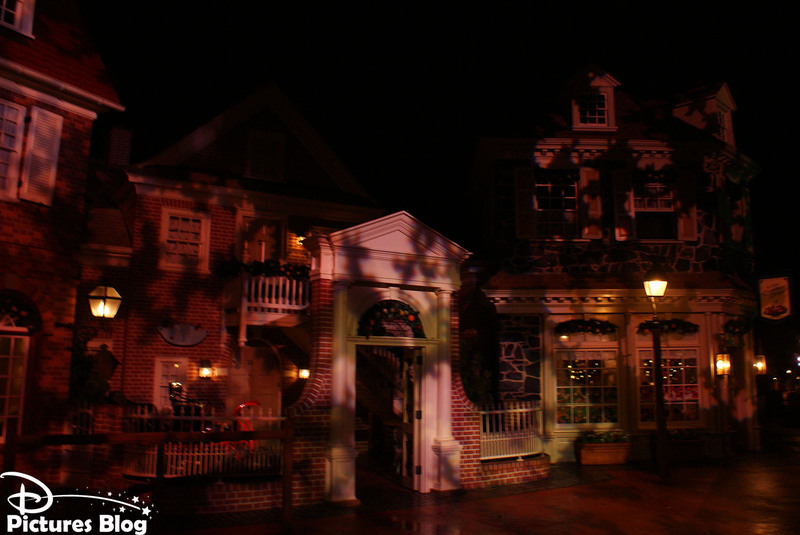 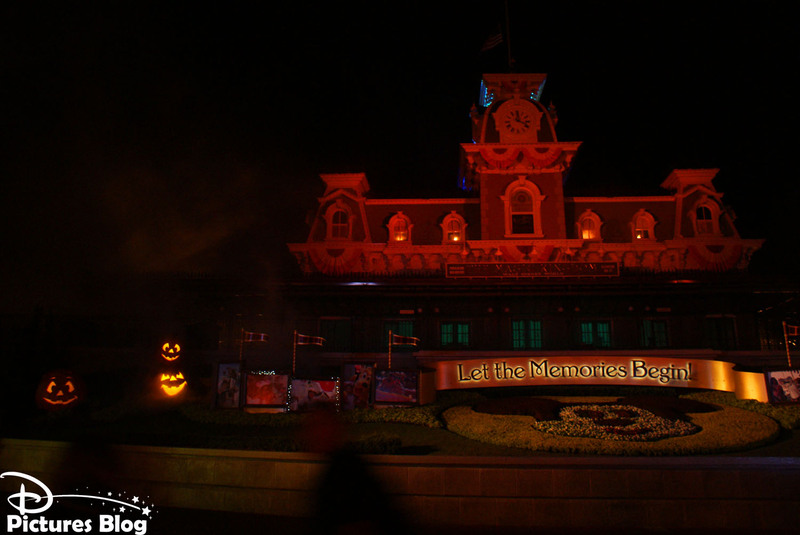 Lasting about 12 minutes, it is composed of famous Disney Vilains songs as well as of the Haunted Mansion theme Grim Grinning Ghosts and Nightmare Before Christmas' This Is Halloween. 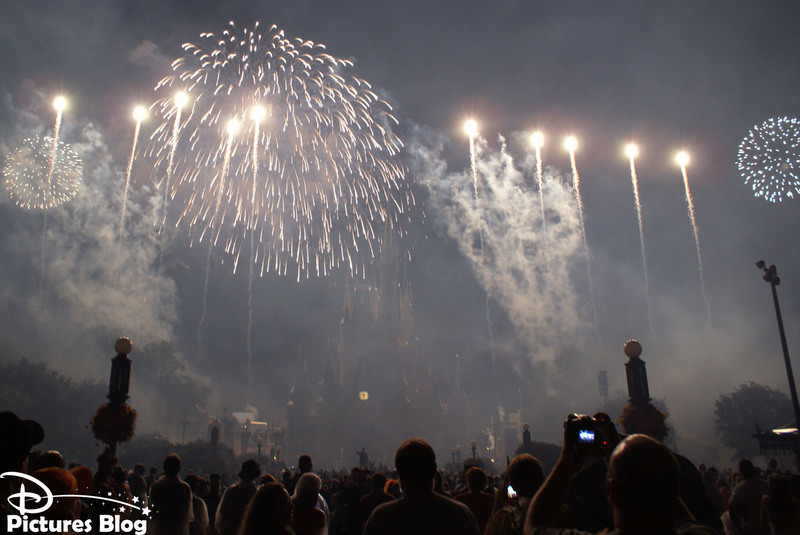 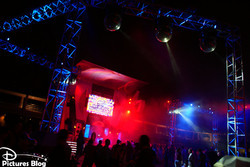 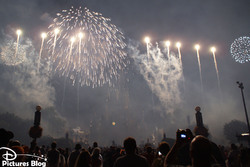 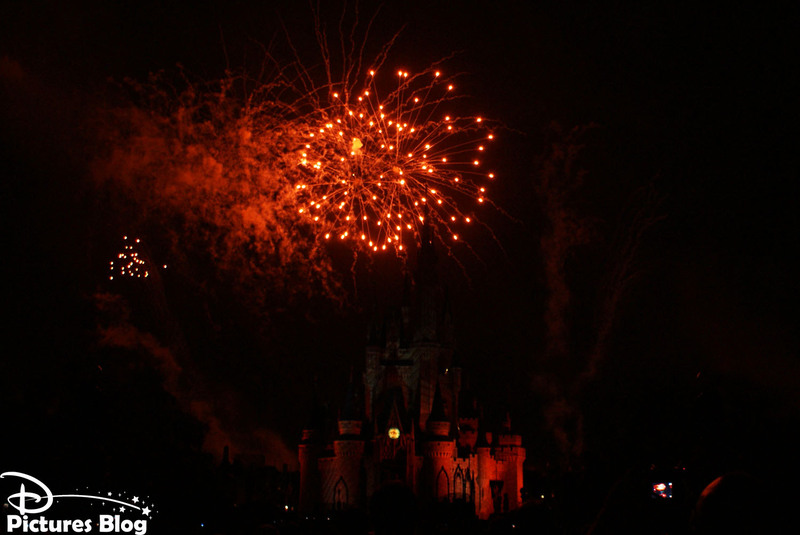 It ends with a grand finale all over the entire park with fireworks appearing all round you in a breathtaking sequence ! 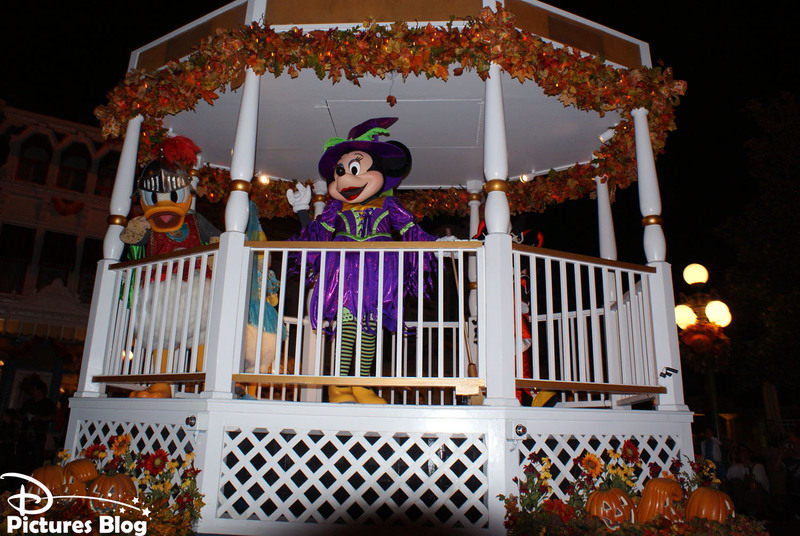 Mickey's Boo-To-You Halloween Parade est l'un des temps forts de la soirée spéciale Mickey's Not-So-Scary Halloween Party pendant laquelle elle défile 2 fois à travers Magic Kingdom, c'est la seule occasion de la voir, puisque cette parade ne sort jamais lors des horaires habituels du parc. 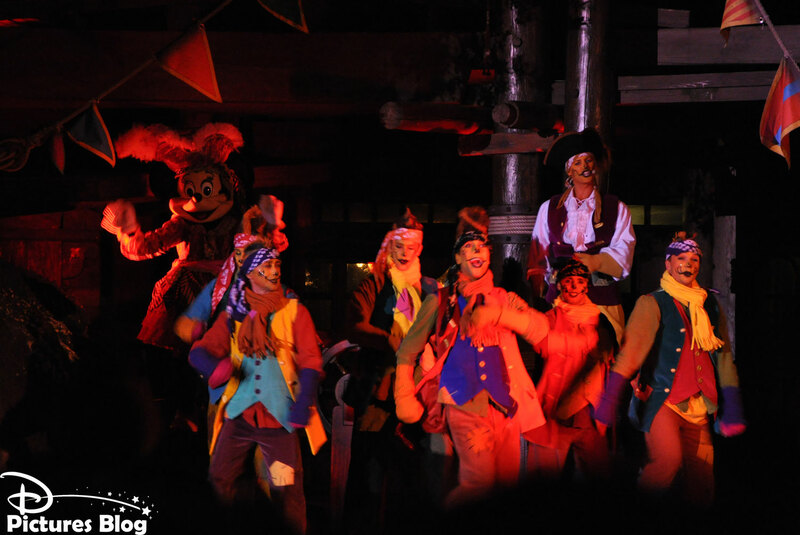 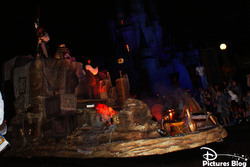 Pendant environ 20 minutes on y retrouve des unités consacrées aux pirates (avec les personnages de Peter Pan et Pirates Des Caraibes), à l'attraction Haunted Mansion (avec notamment les fantômes auto-stoppeurs), à Frontierland (personnages de Mélodie du Sud, Country Bears...) ou encore les méchants Disney, et évidemment Mickey et ses amis ! 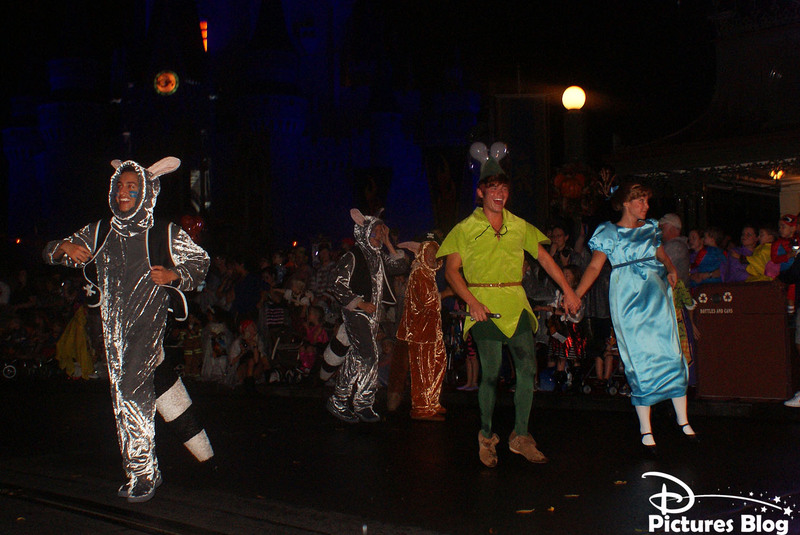 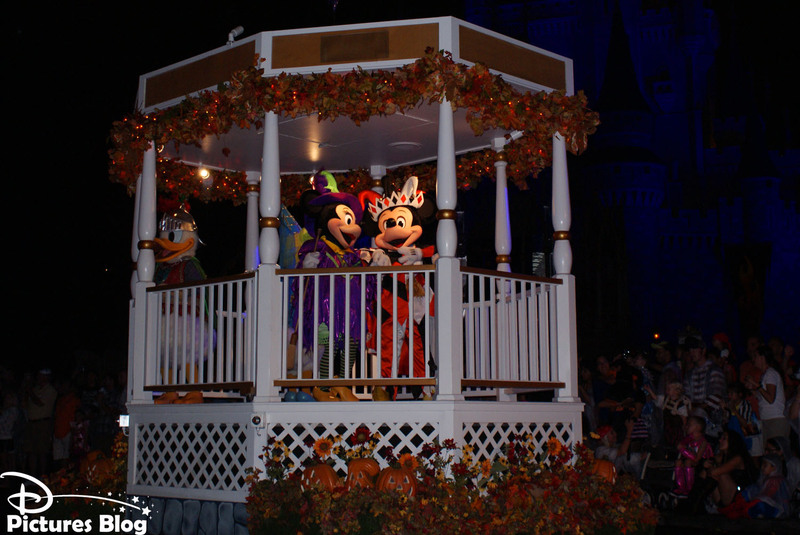 Mickey's Boo-To-You Halloween Parade is part of the special entertainment program offered to Mickey's Not-So-Scary Halloween Party guests when the parade is being performed twice in Magic Kingdom, that is the only chance to see it, as this parade never performs during regular park shedules. 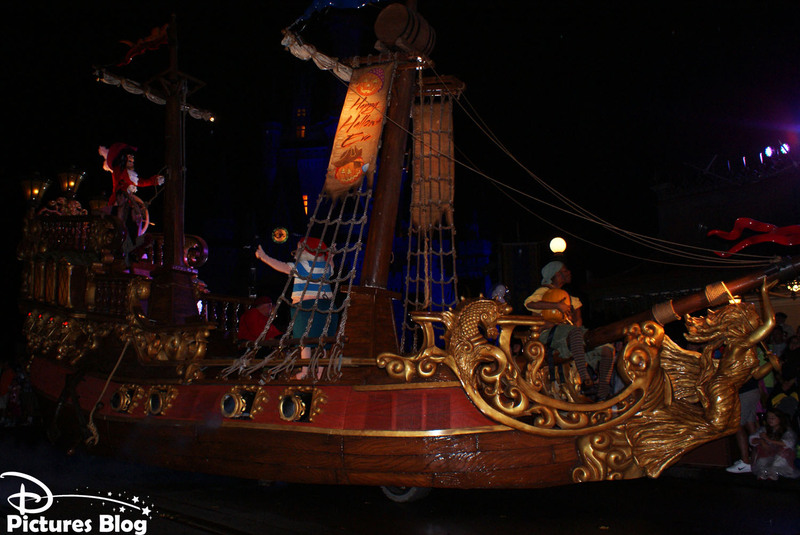 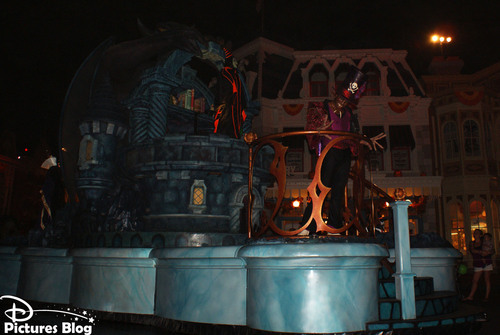 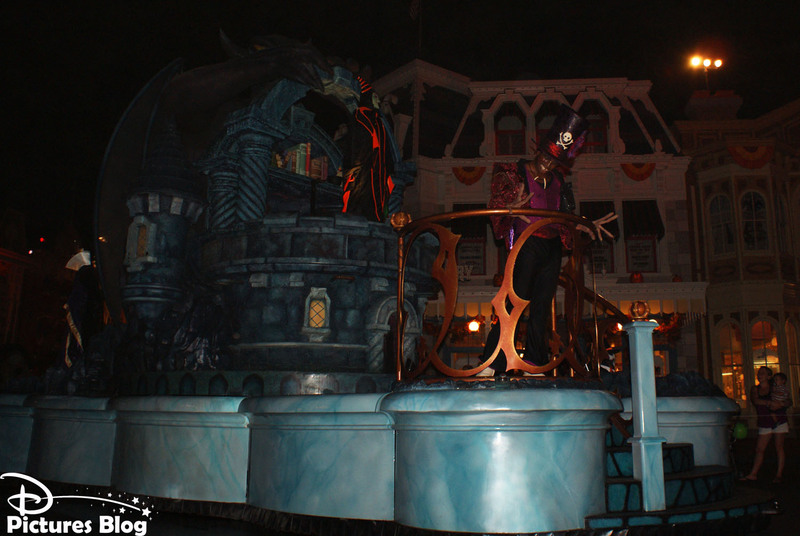 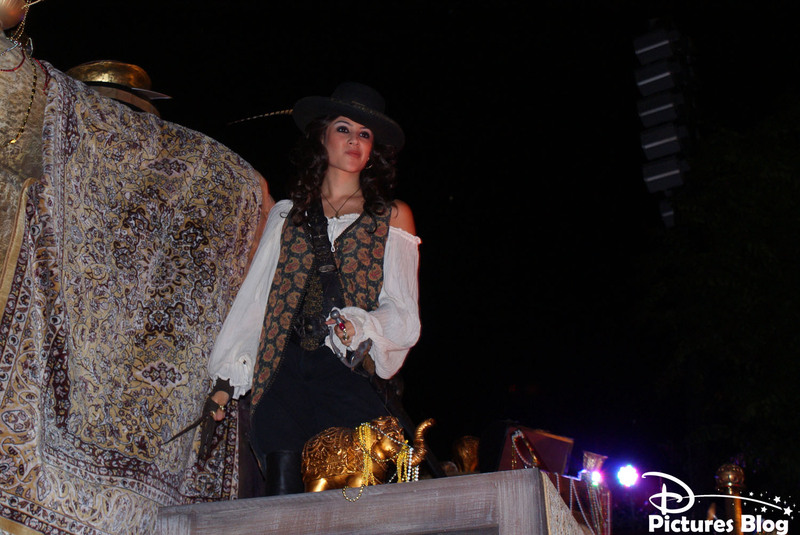 During about 20 minutes, the parade features units dedicated to pirates (with characters from Peter Pan and Pirates of the Caribbean), Haunted Mansion (including the famous hitchhiking ghosts), Frontierland (including characters from Song of the South and Country Bears Jamboree) or else to Disney Vilains and, of course, Mickey and friends ! 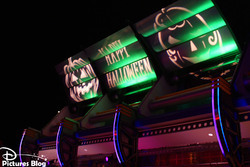 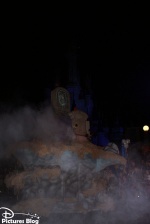 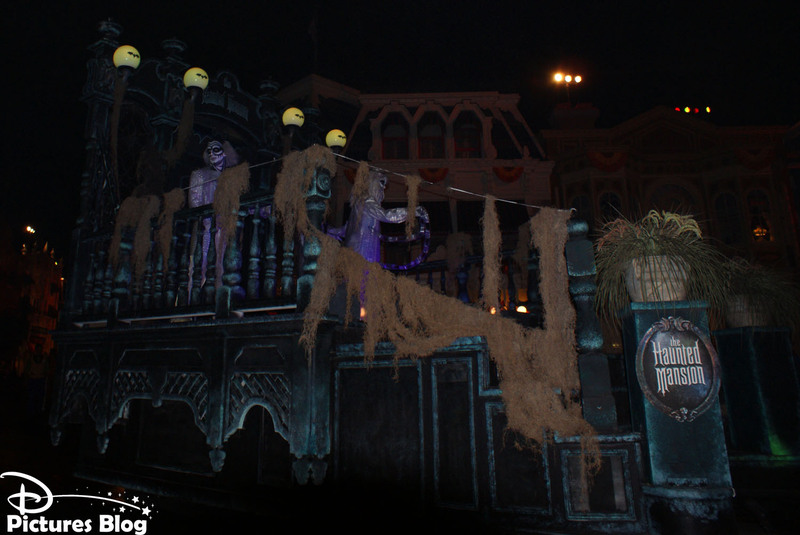 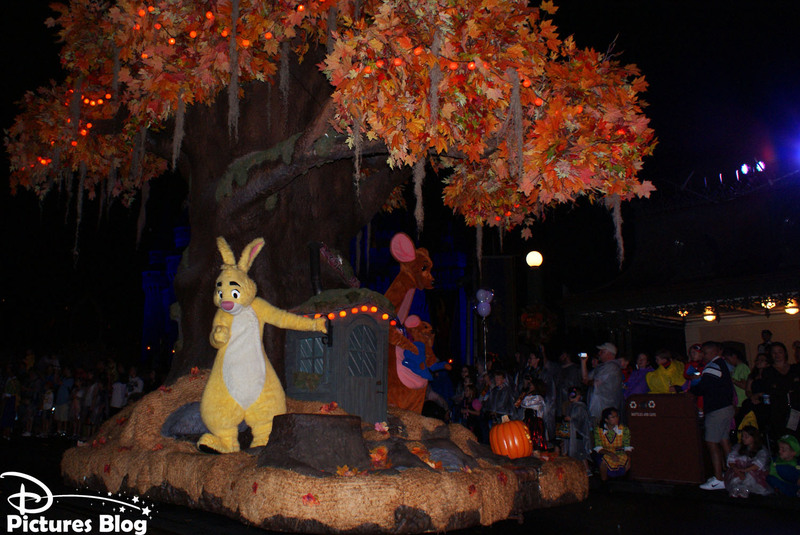 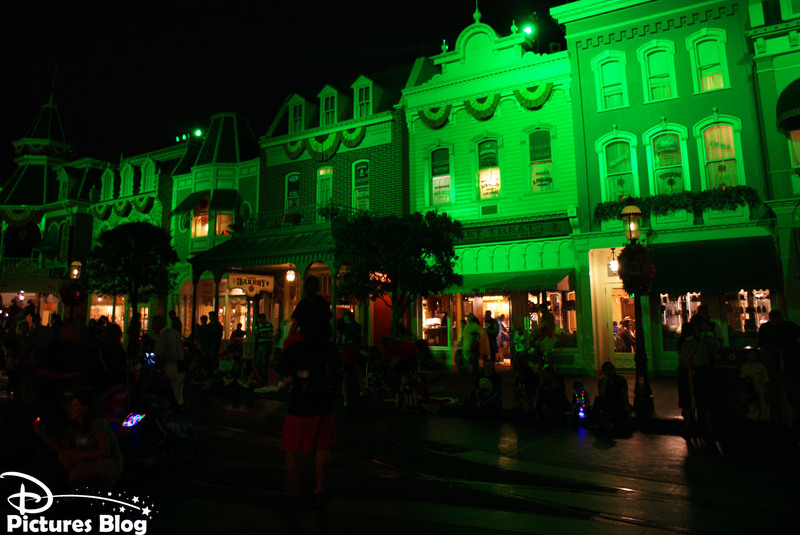 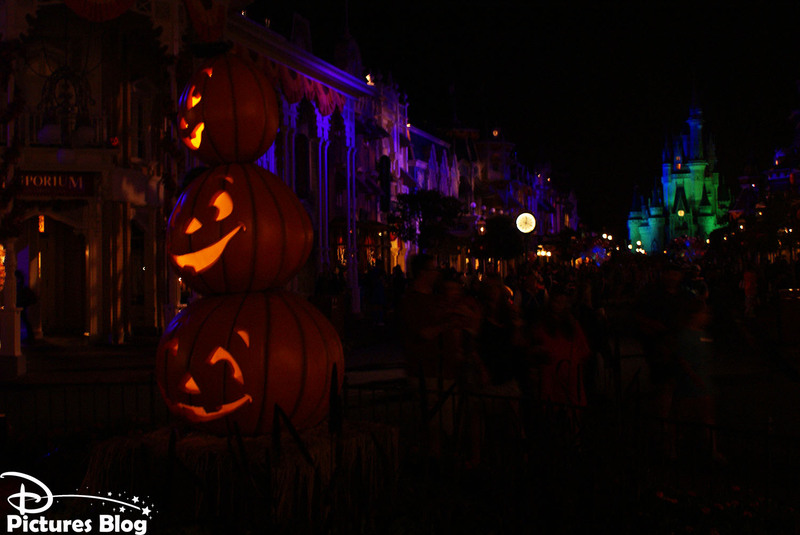 Etonnamment, à Walt Disney World Halloween est très peu célébré : quelques hôtels et Main Street USA au Magic Kingdom reçoivent quelques décorations discrètes et c'est tout ! 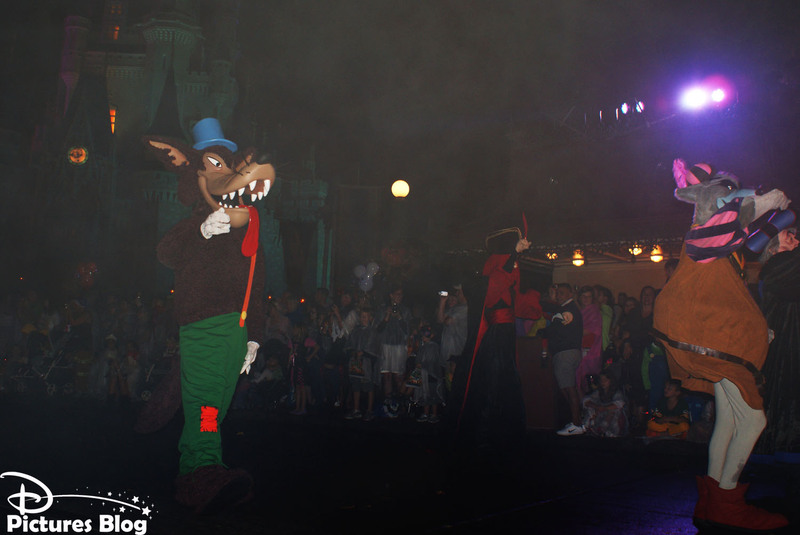 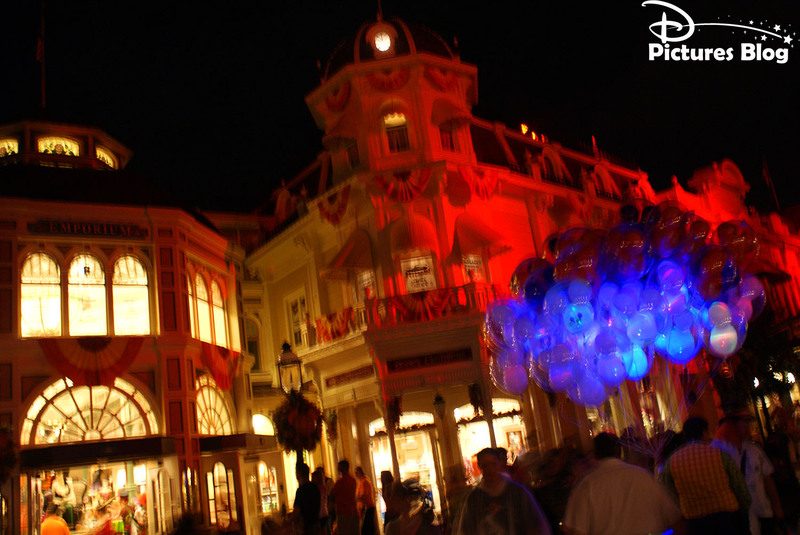 Mais depuis 1995, tous les ans en septembre, octobre et le 1er novembre, la fête bat son plein de nuit, après la fermeture du Magic Kingdom avec les Mickey's Not-So-Scary Halloween Parties ! 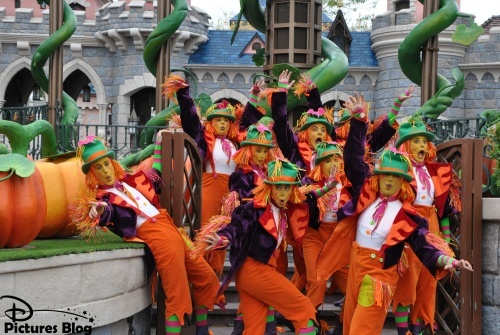 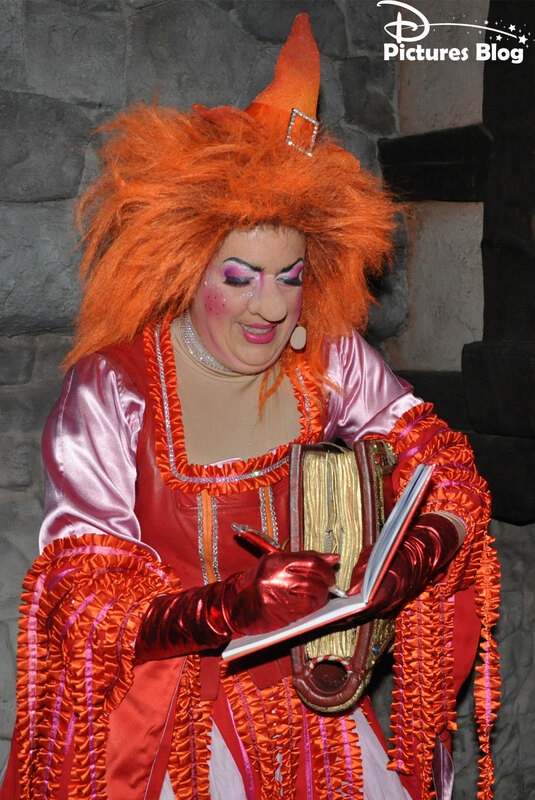 La fête se veut familiale et inclue des shows, des dance parties, une parade inédite, des characters meet'n greets et un feu d'artifice spécial halloween, néanmoins le parc prend tout de même des airs inquiètants - mais jamais terrifiants - avec un light show exclusif et des boucles musicales spéciales halloween. Lorsque l'on passe la journée complète dans le parc, la transformation est saisissante dès 19H et la fête dure jusqu'à minuit ! 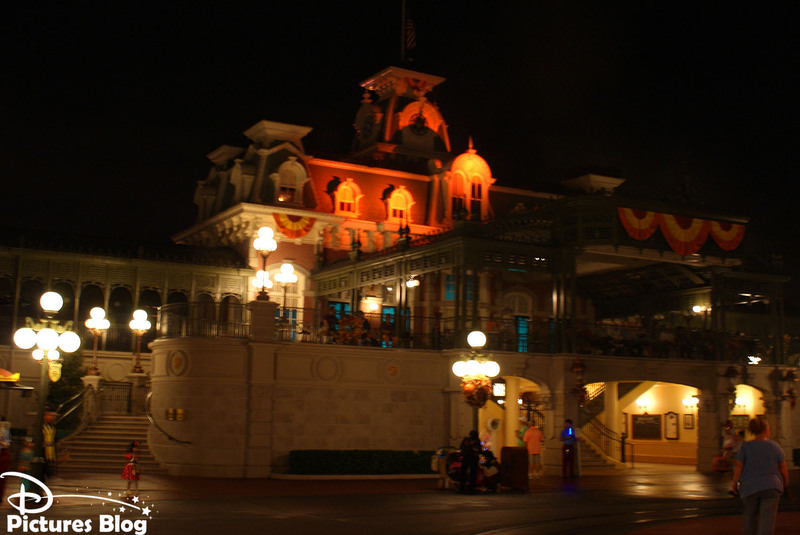 Surprisingly enough, Halloween seems to be poorly celebrated at Walt Disney World : some hotels and Main Street USA at Magic Kingdom are softly decorated and... that's it ! 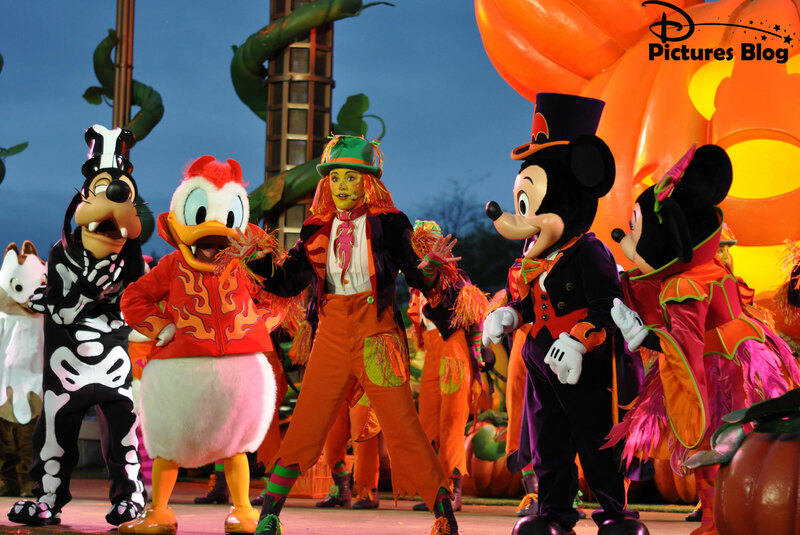 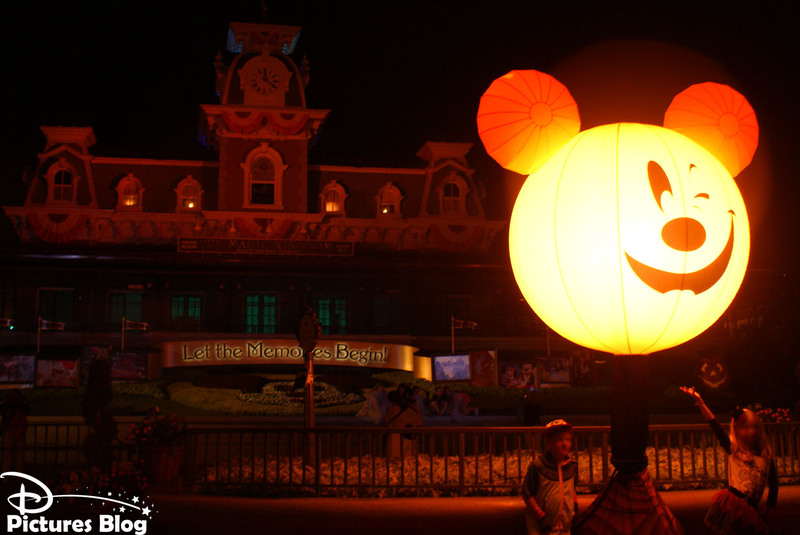 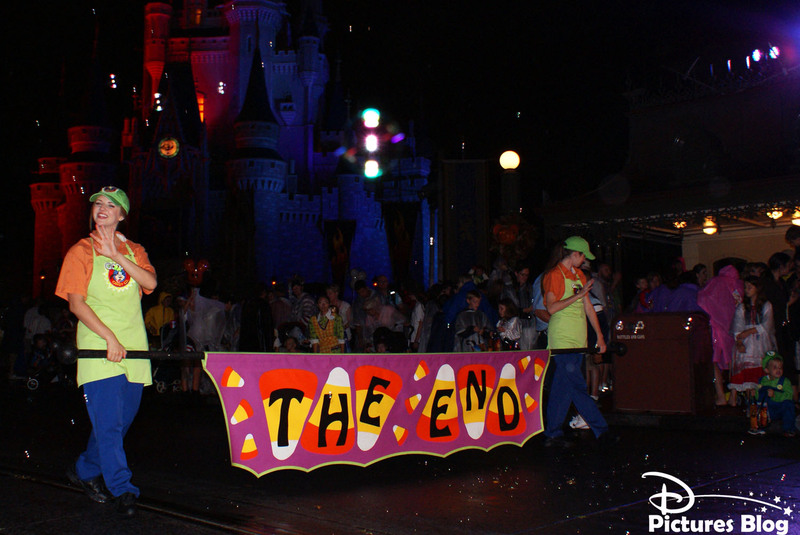 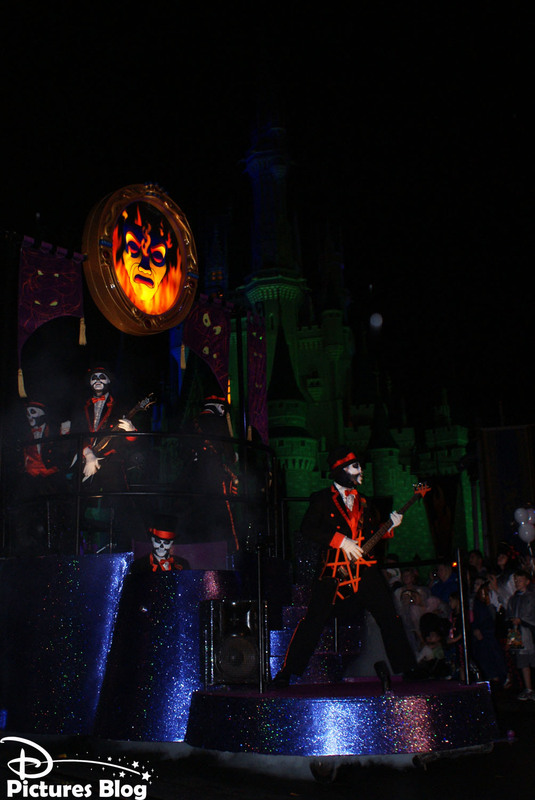 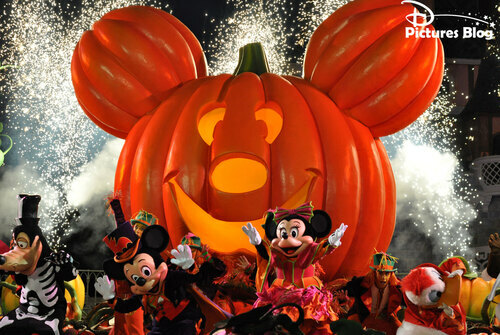 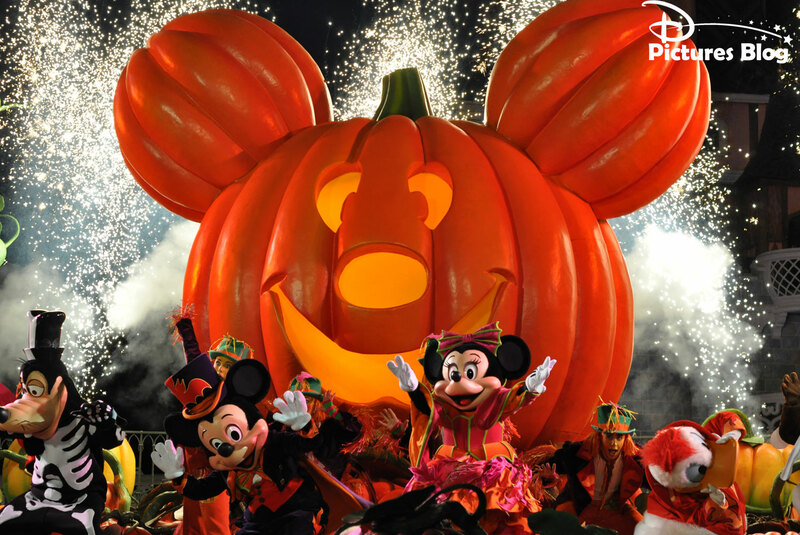 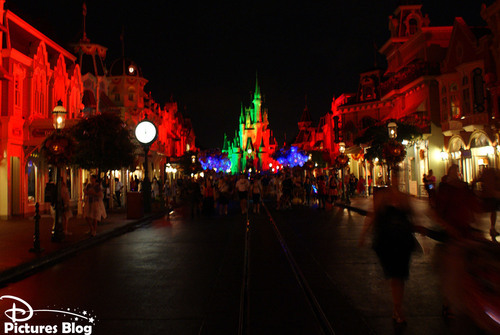 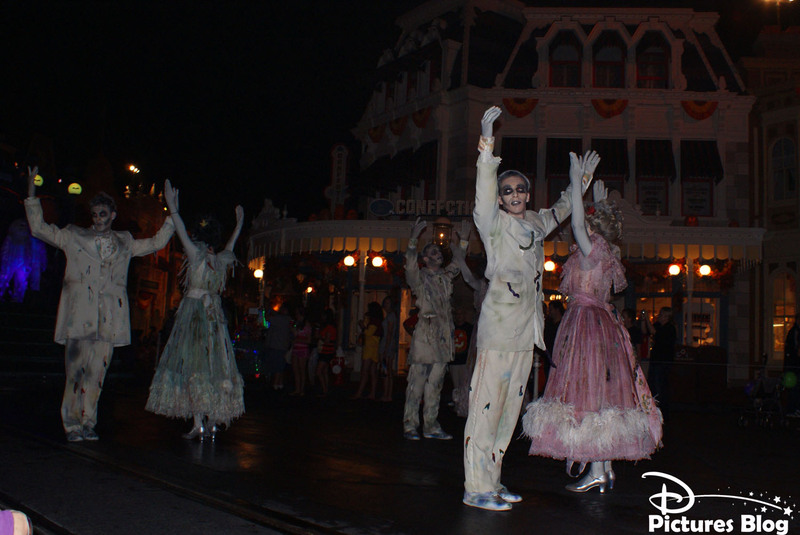 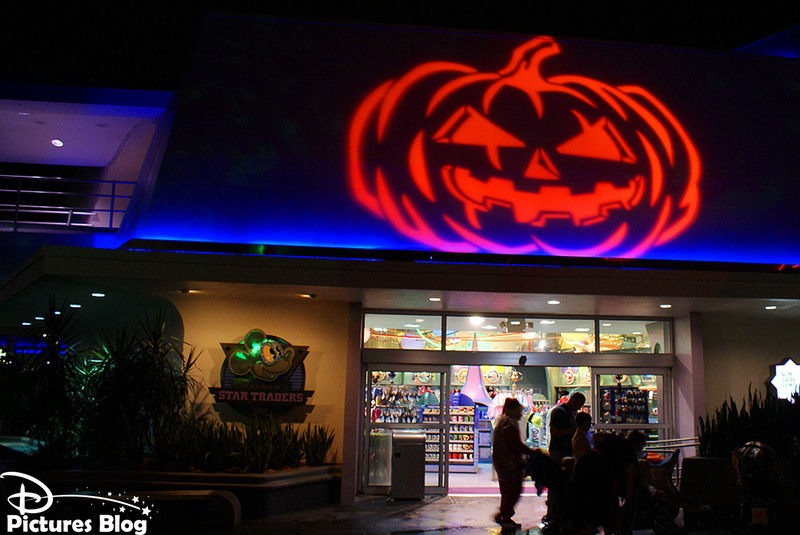 However, since 1995, halloween is being celebrated throughout the entire Magic Kingdom theme park with Mickey's Not-So-Scary Halloween Parties which take place every year on select nights of september, october and november 1st from 7pm to midnight. 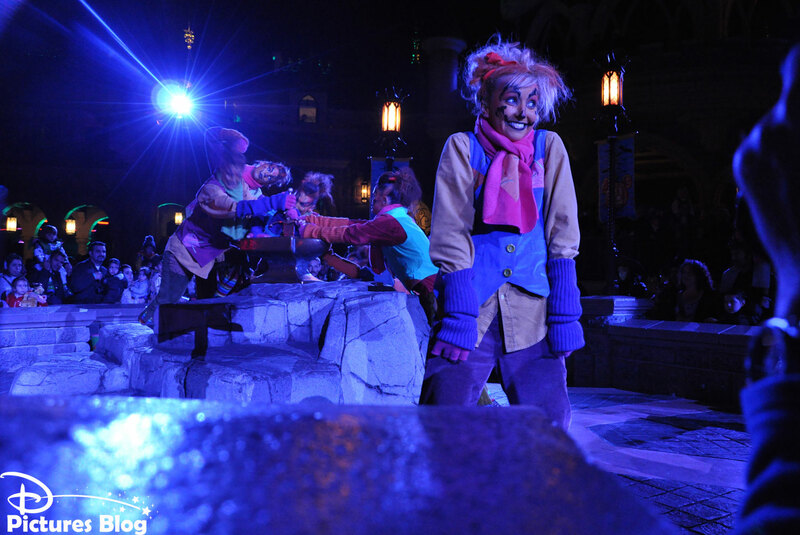 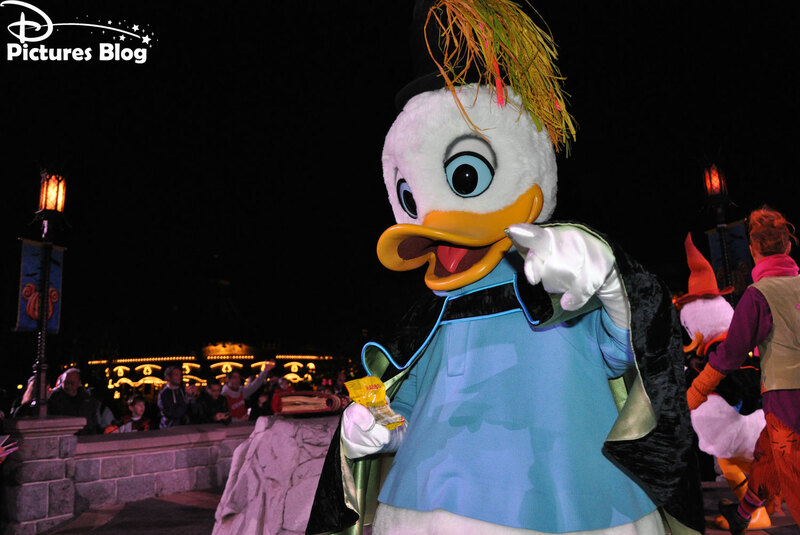 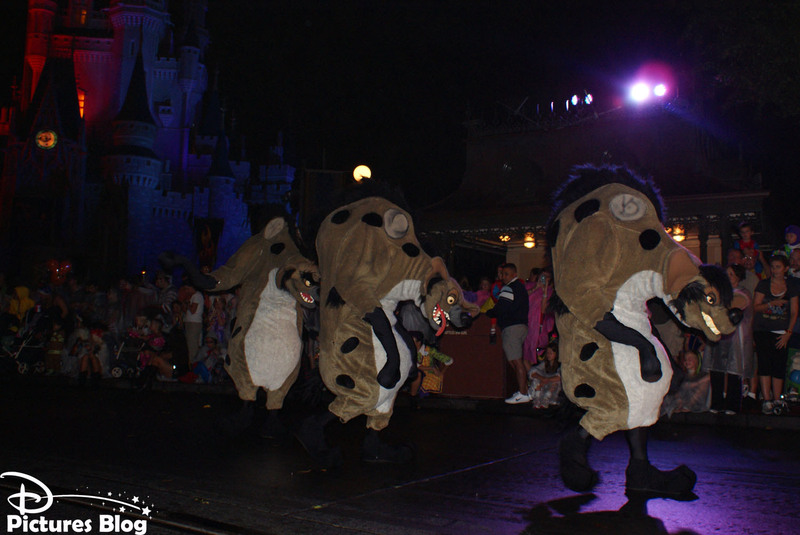 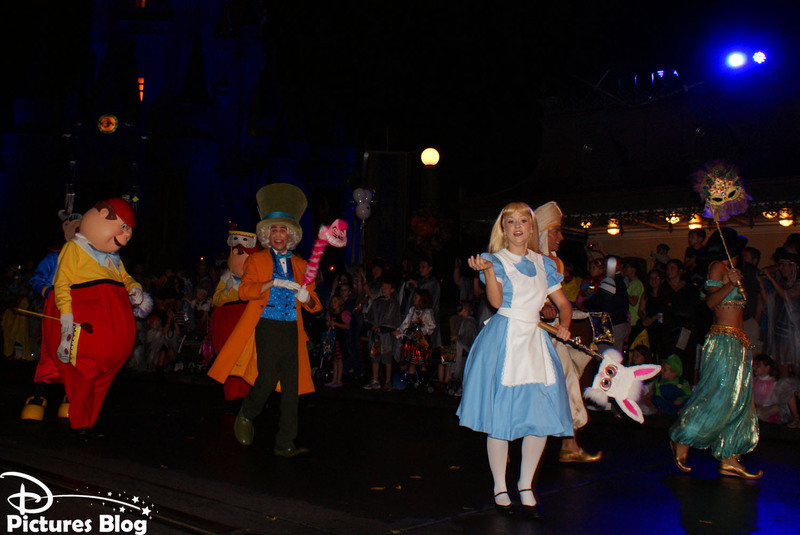 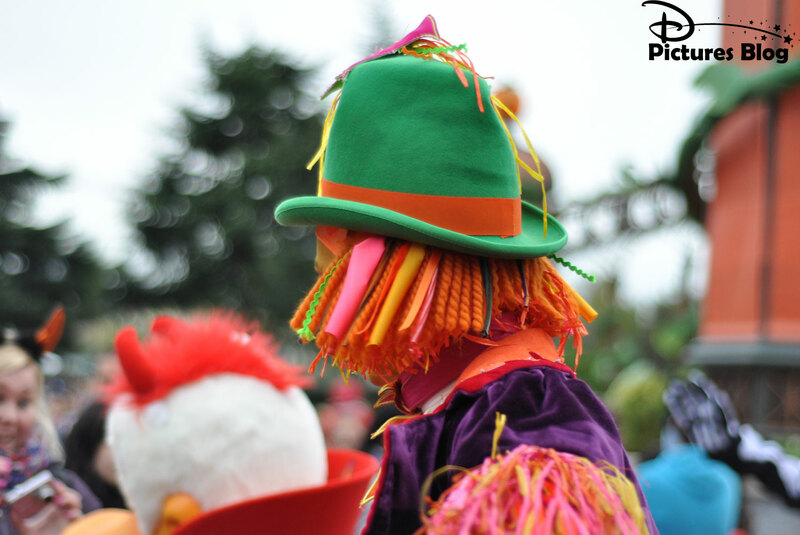 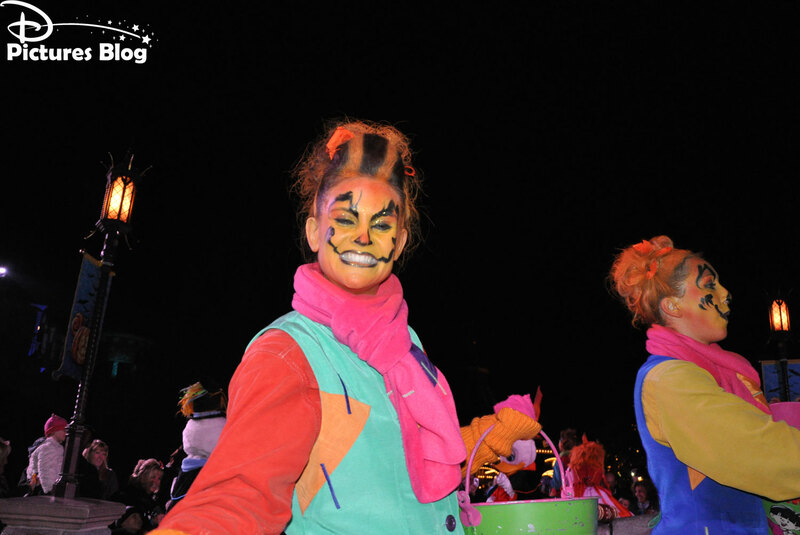 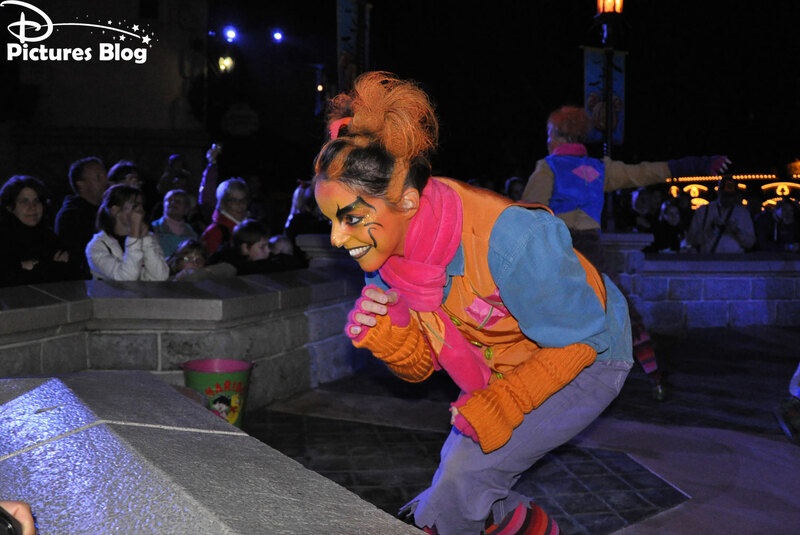 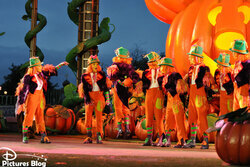 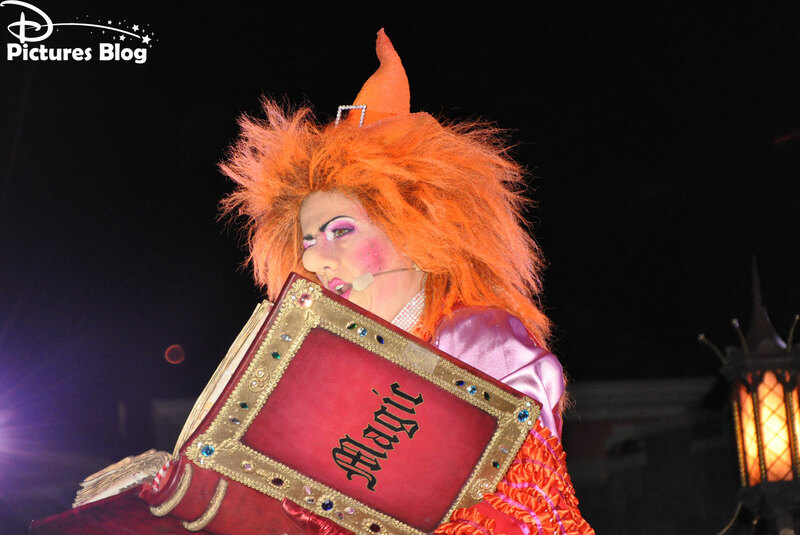 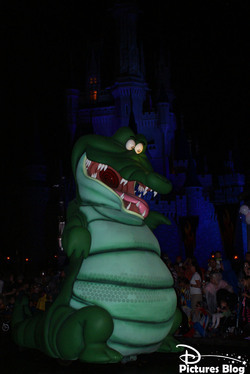 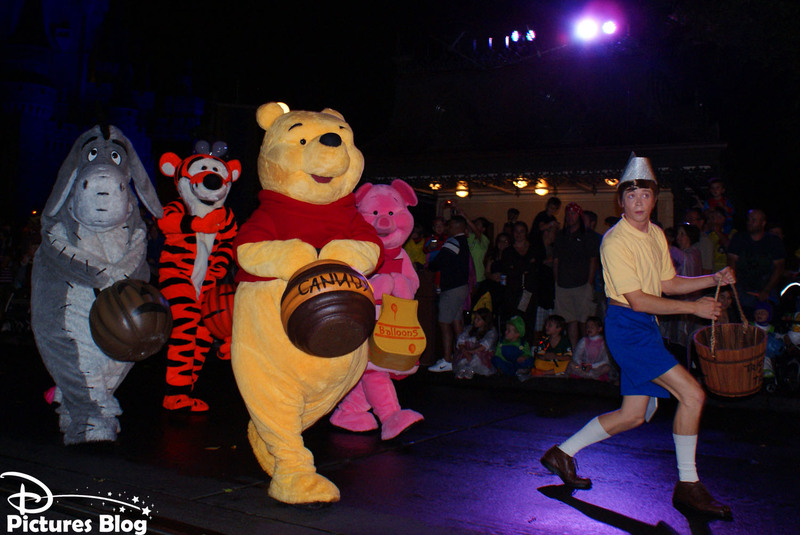 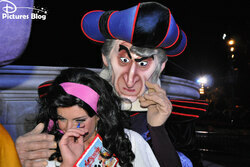 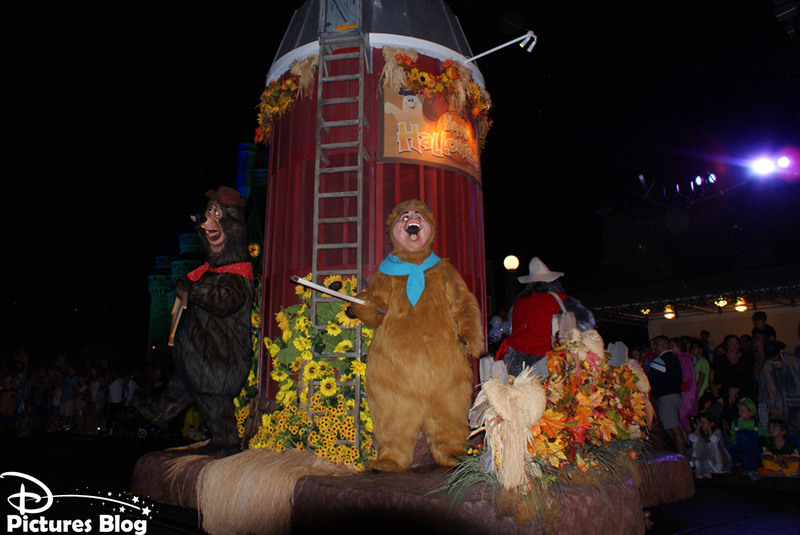 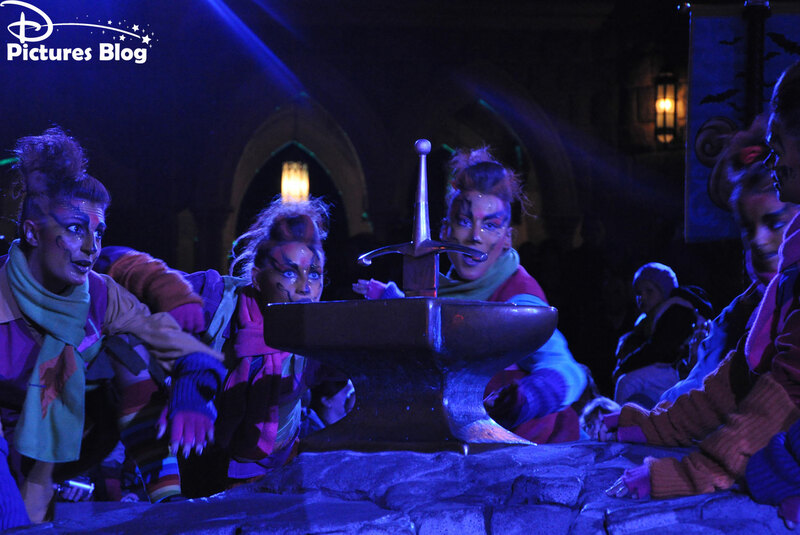 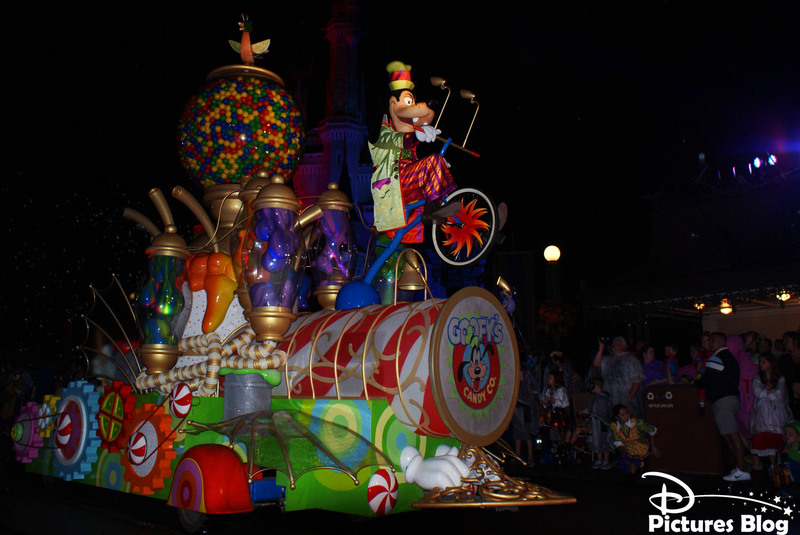 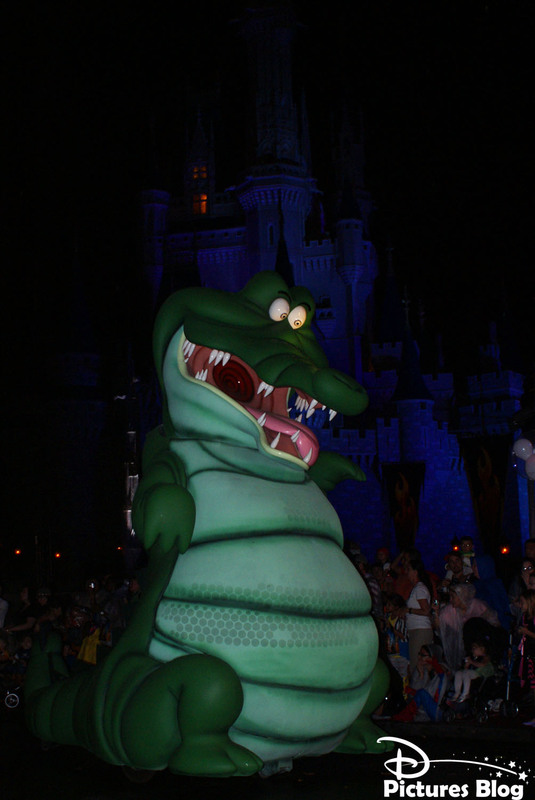 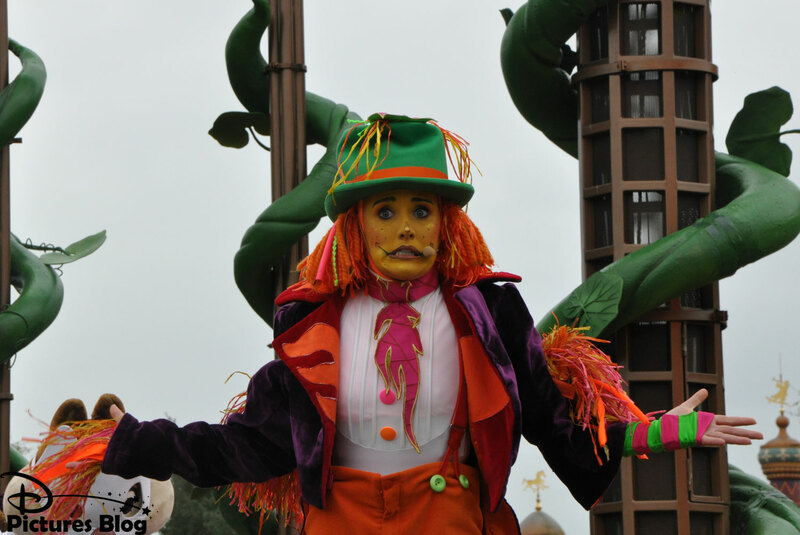 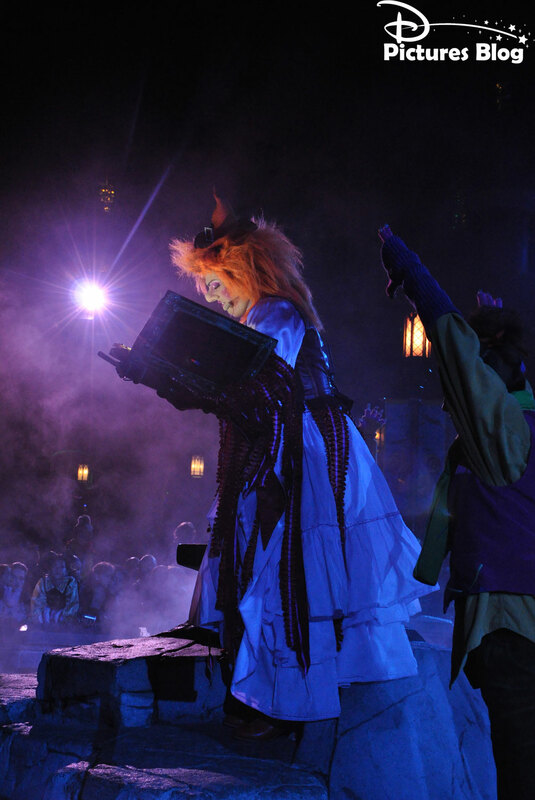 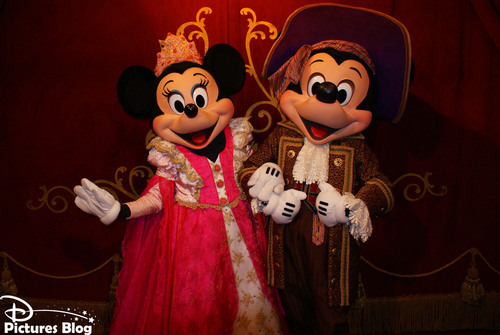 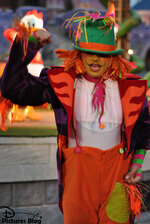 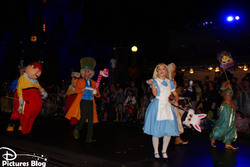 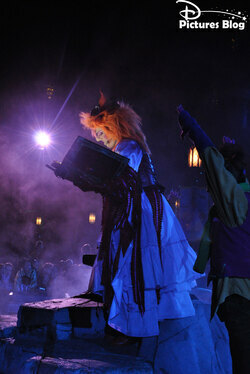 This is a family-friendly event, including live shows, dance parties, a special parade, characters meet'n greet, a halloween fireworks, but still the park is different during the party : the atmosphere is a little bit scary thanks to special lighting and musical loops, but never that terrifying. 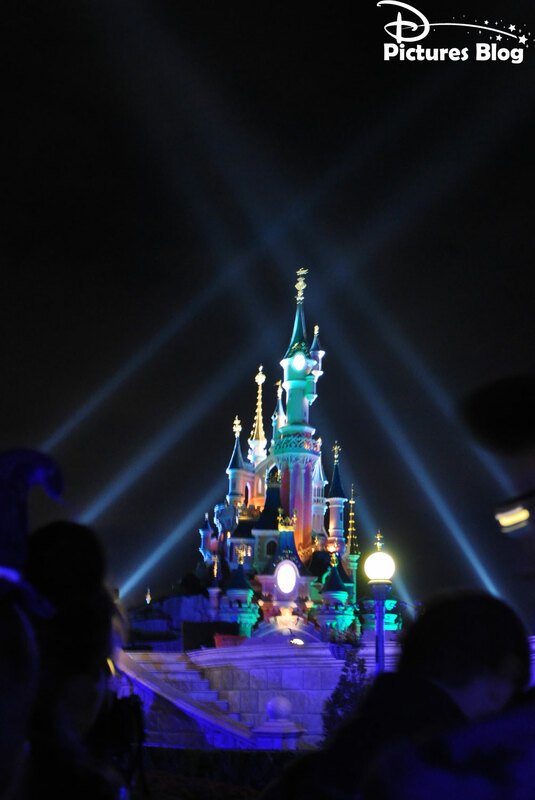 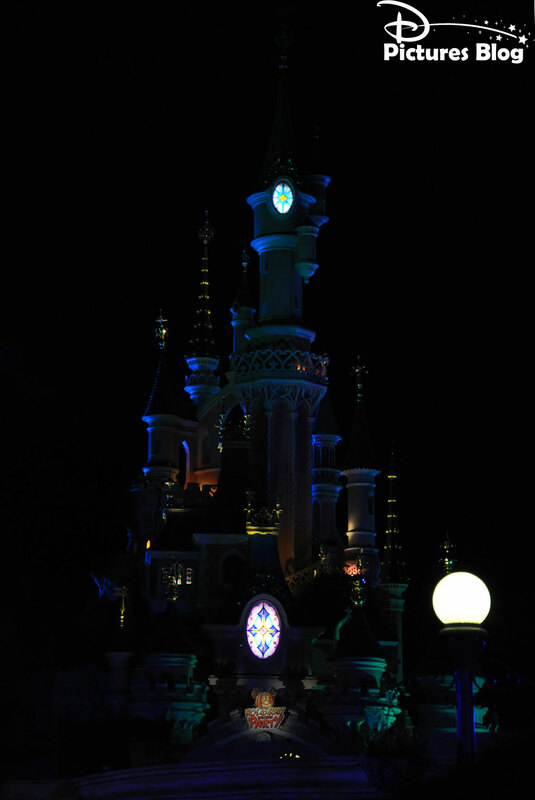 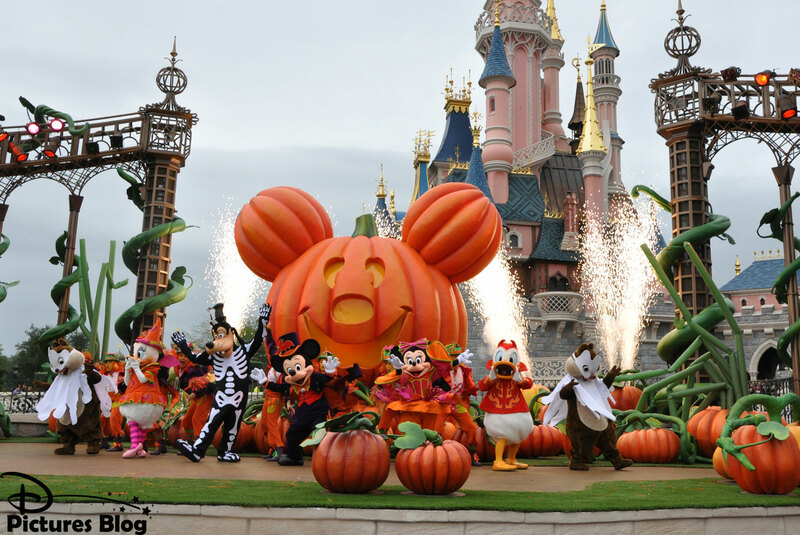 Parc Disneyland (Paris) - Mickey et sa surprise-partie d’Halloween ! Mickey et sa surprise-partie d’halloween est un spectacle joué plusieurs fois par jour pendant la saison d’halloween 2011 à Disneyland Paris. 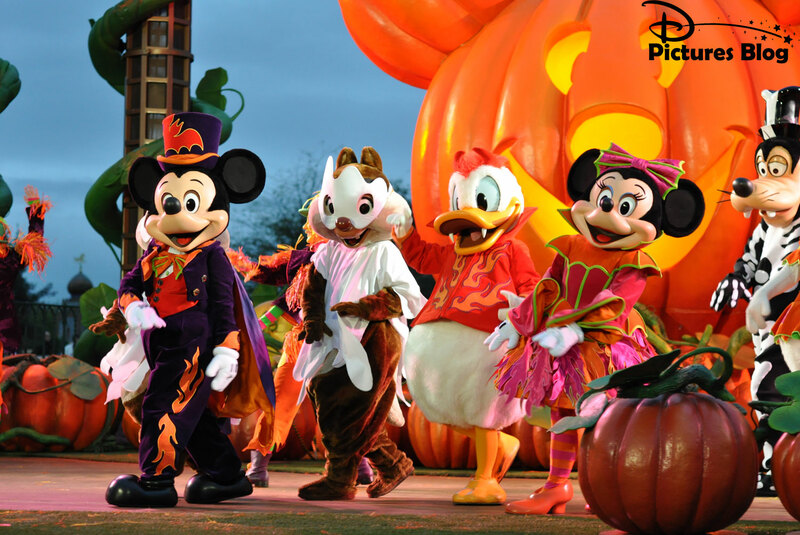 Durant ce spectacle Mickey, Minnie, Donald, Daisy, Dingo, Tic et Tac aident les visiteurs à être prêt pour halloween à travers différents jeux. 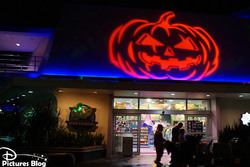 Et comme c’est halloween le spectacle finit par une distribution de bonbons ! 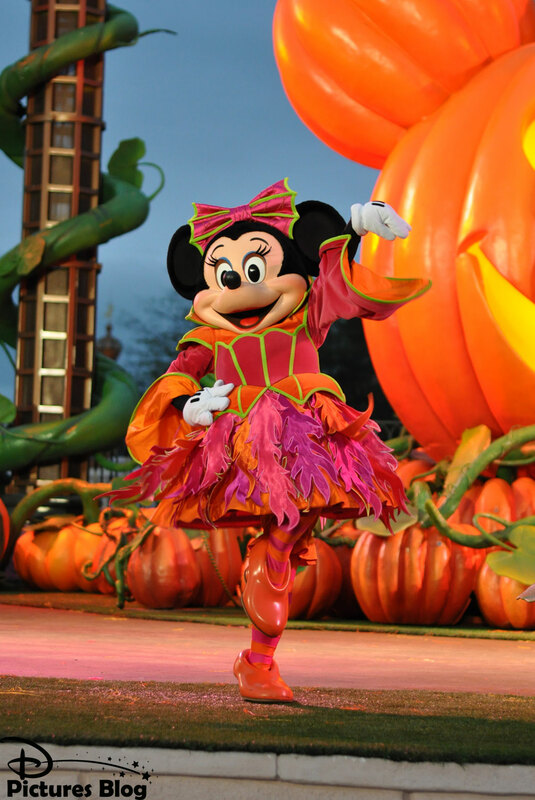 Mickey’s Halloween Treat in the Street is a show performed many times a day during the Halloween season 2011 at Disneyland Paris. 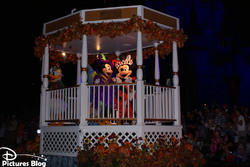 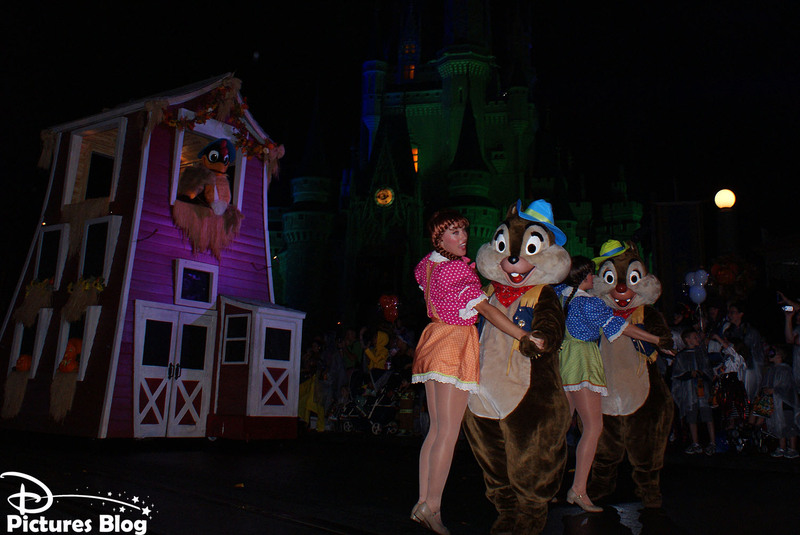 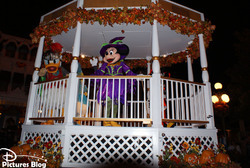 During this show Mickey, Minnie, Donald, Daisy, Goofy, Chip and Dale help visitors to be ready for Halloween through different games. 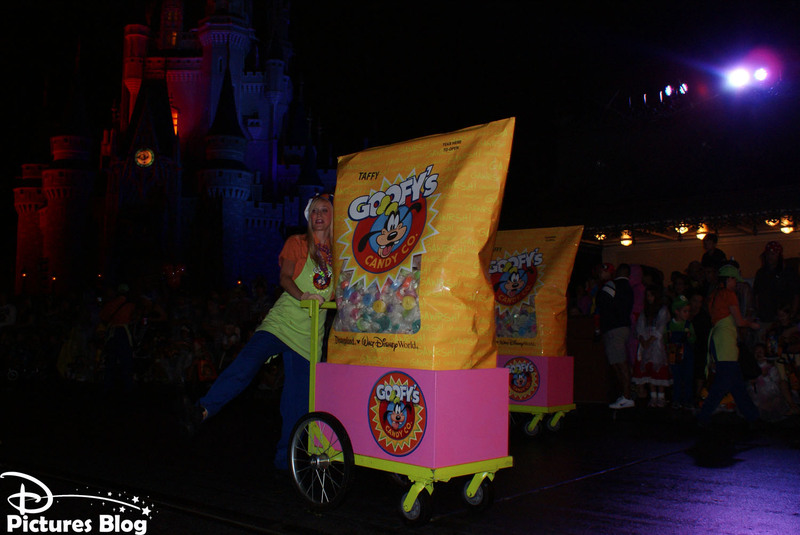 The show ends with a candies distribution !